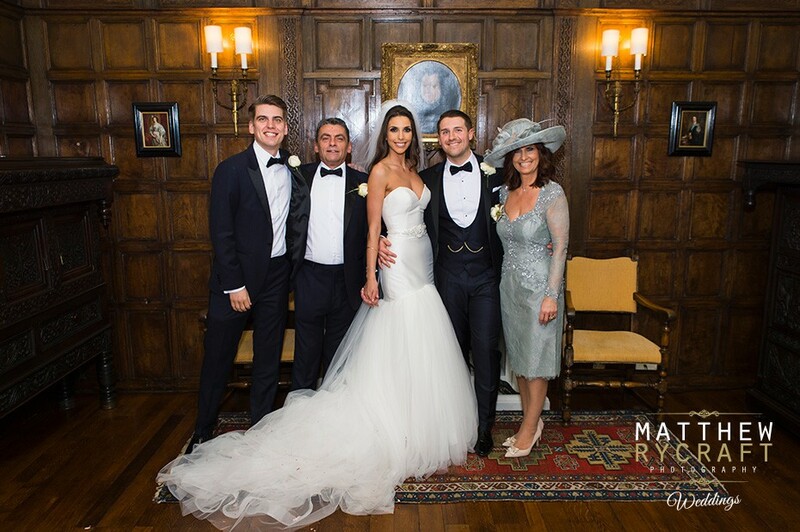 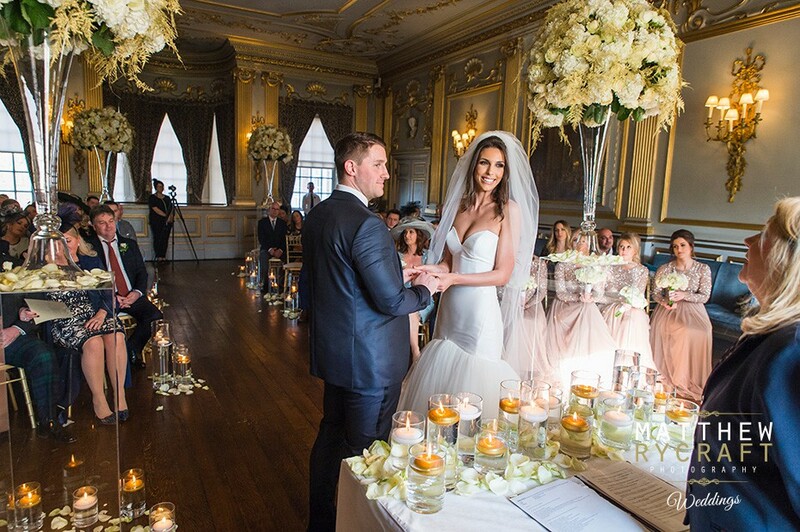 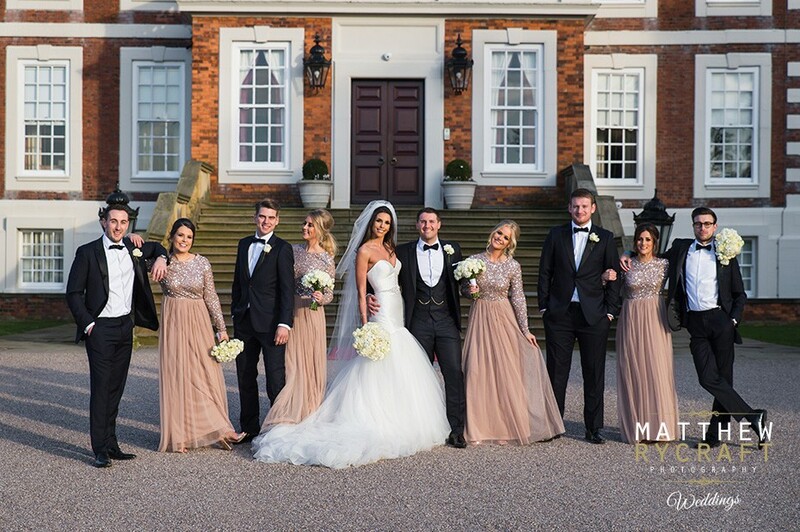 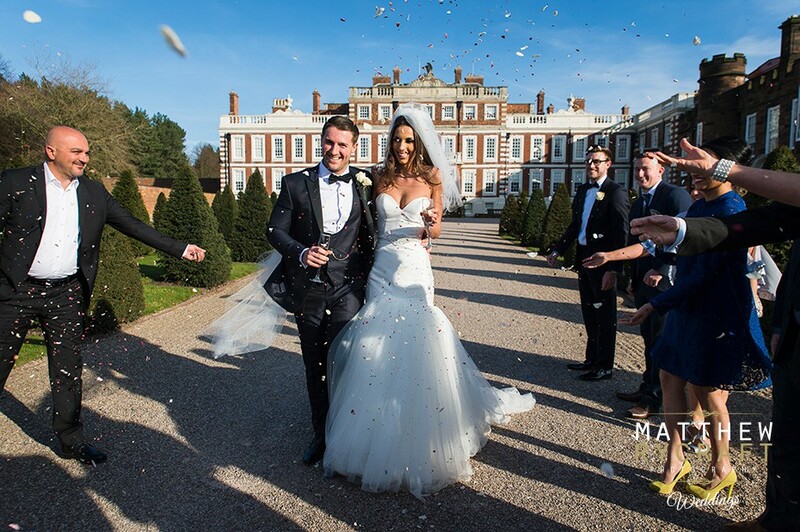 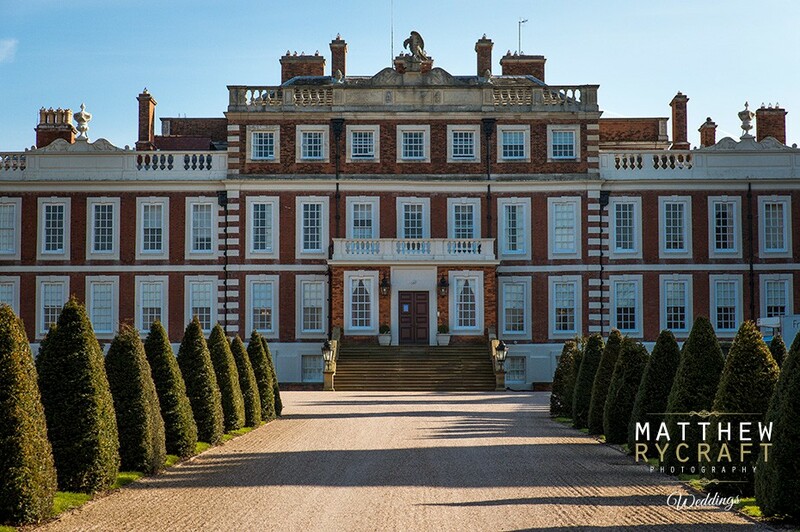 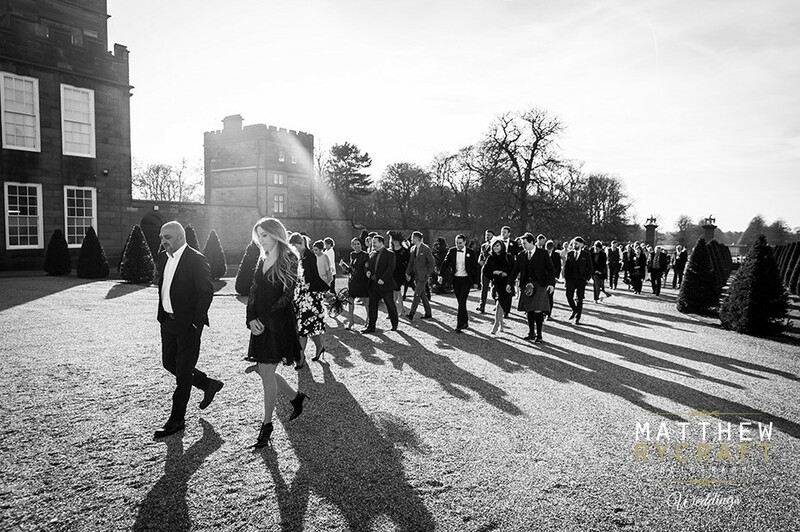 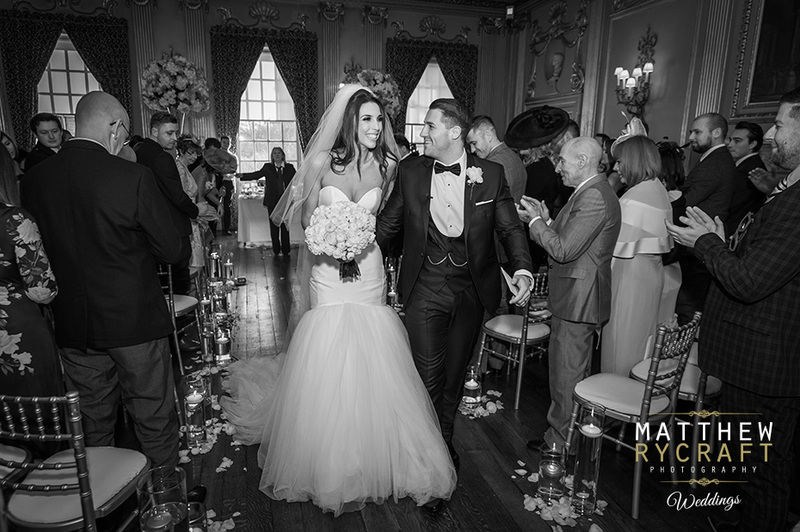 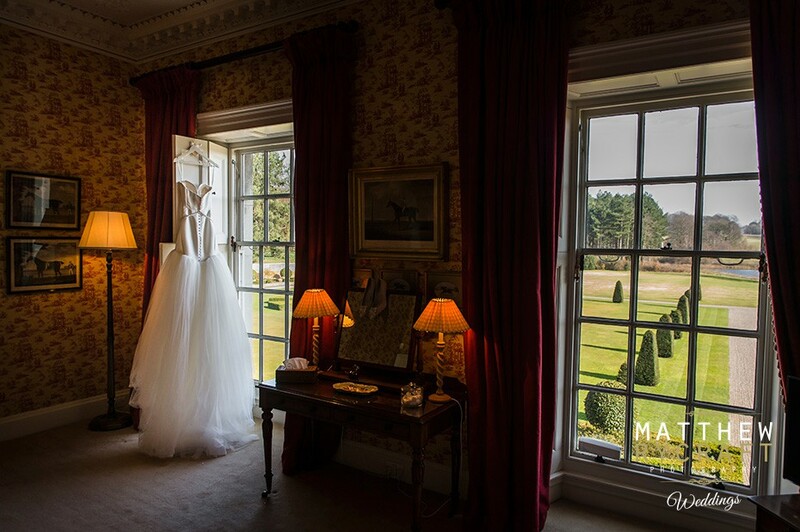 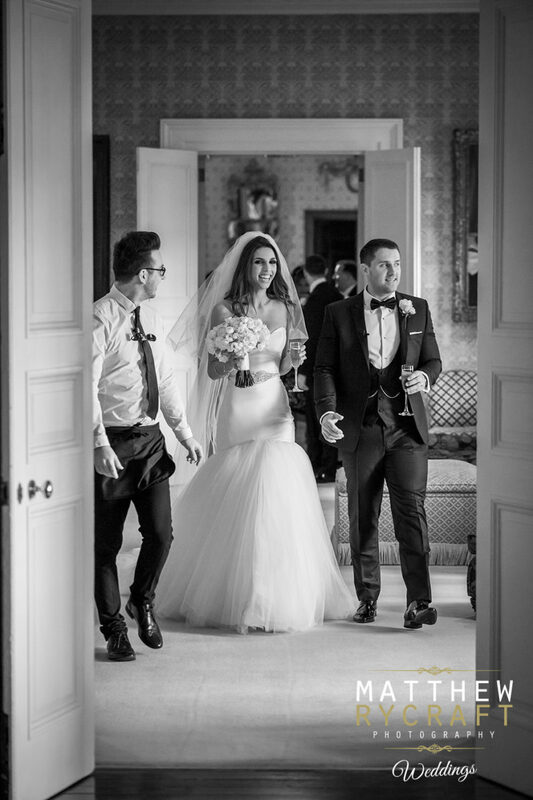 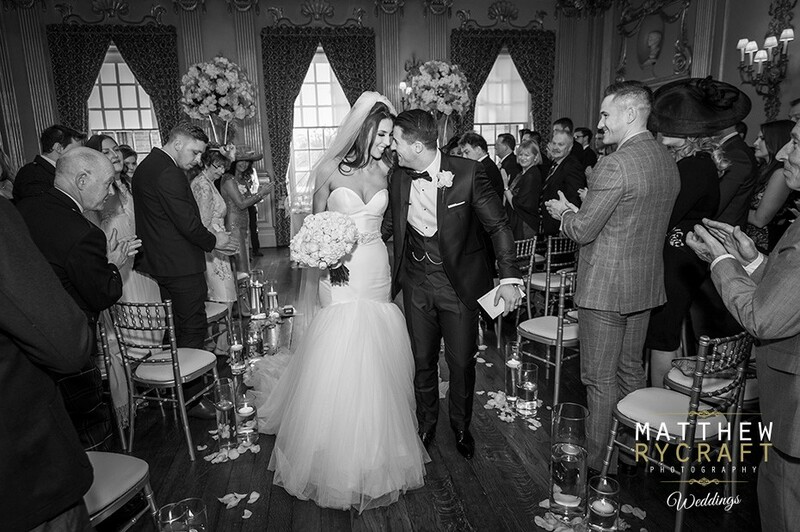 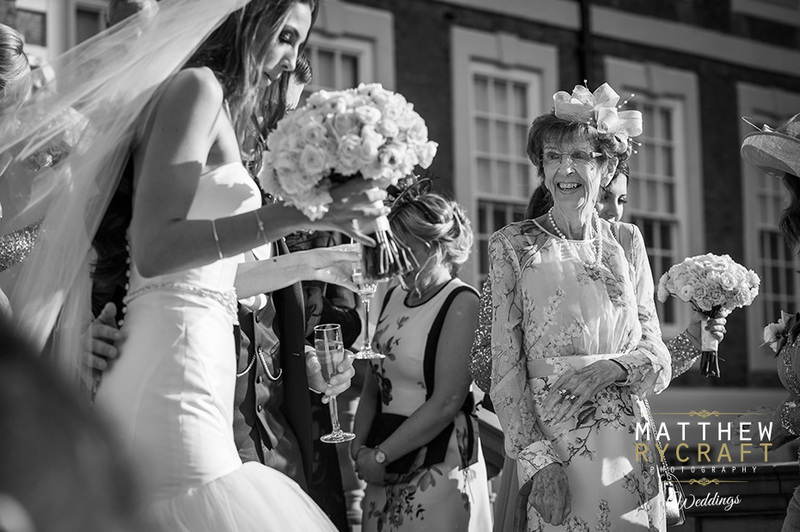 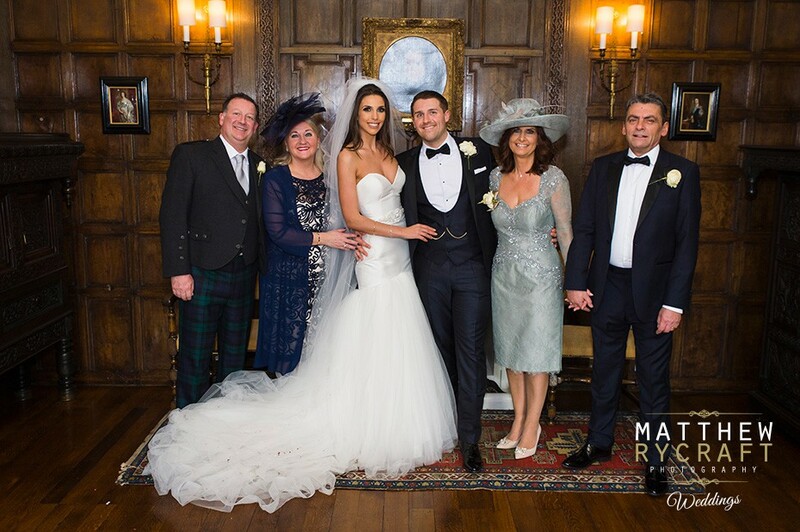 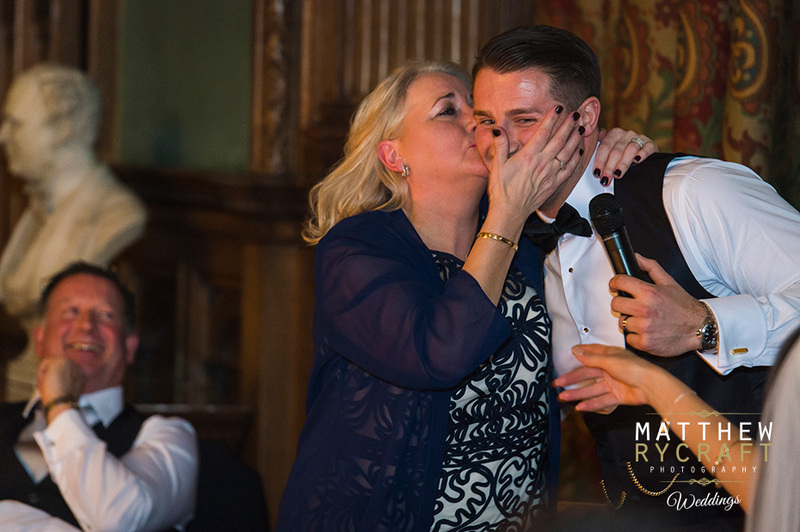 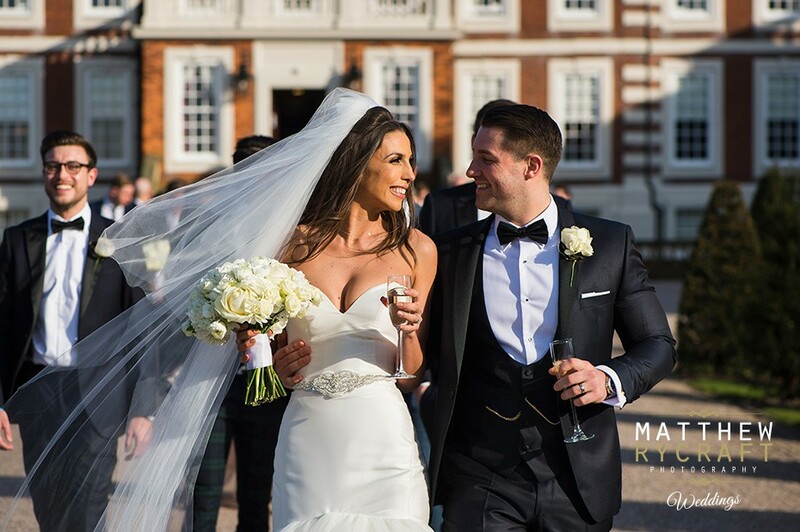 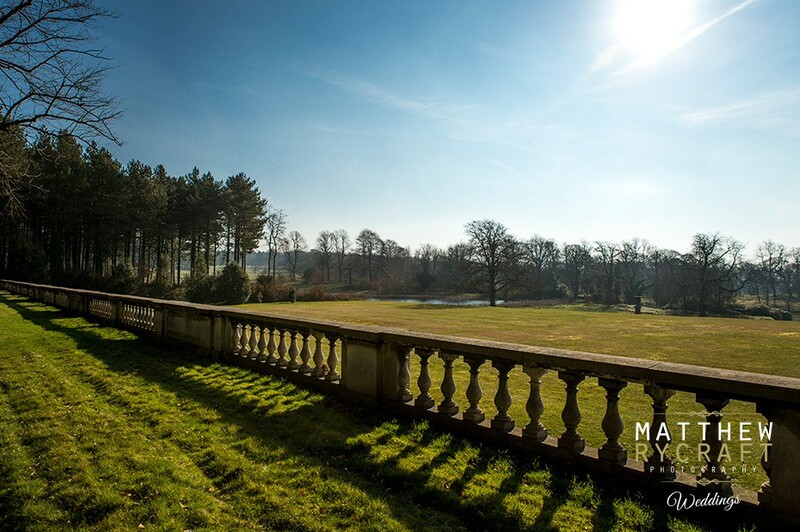 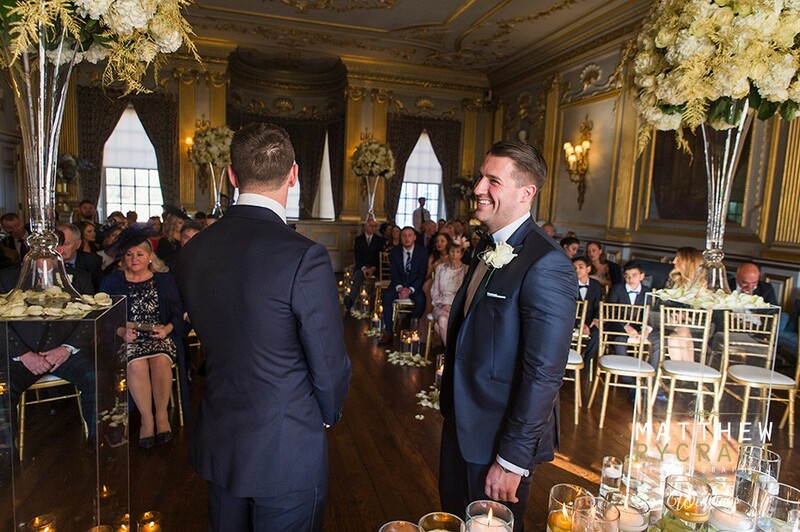 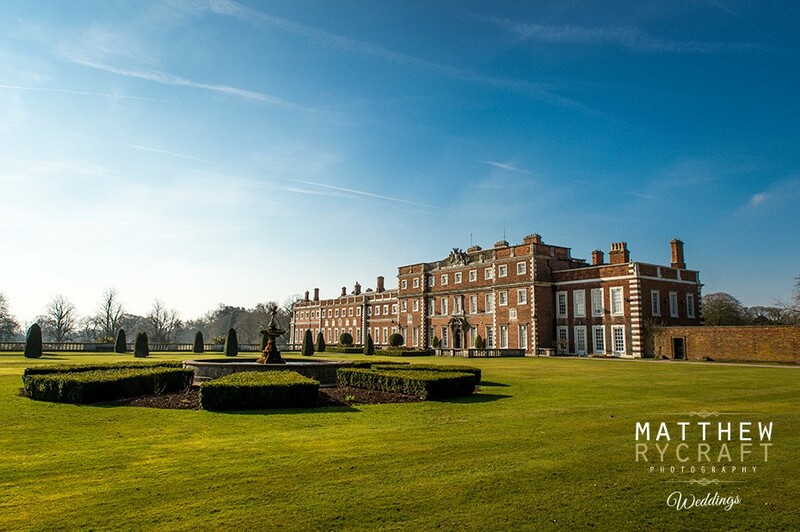 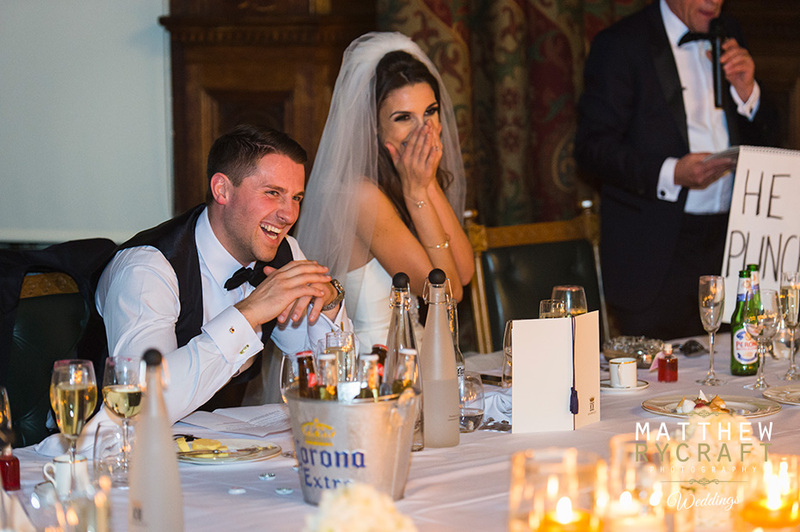 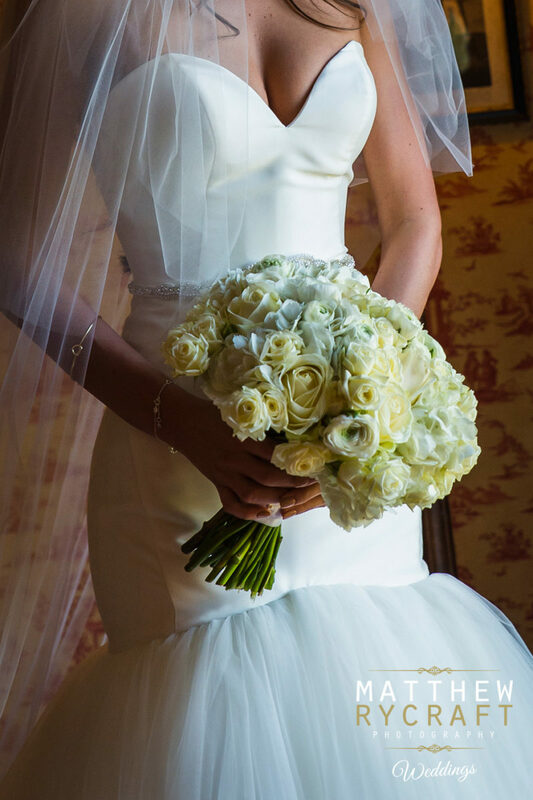 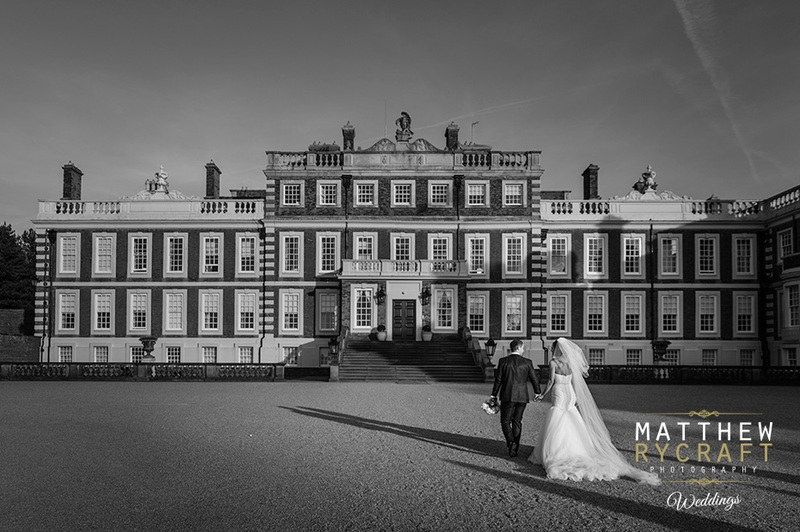 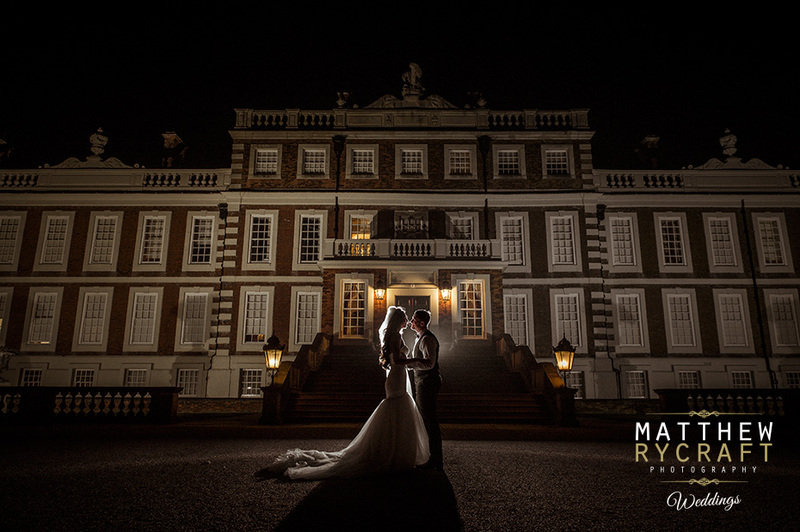 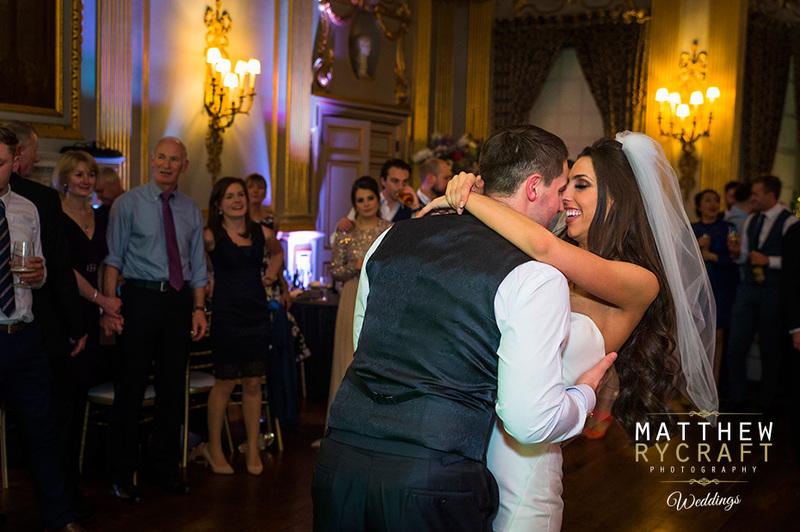 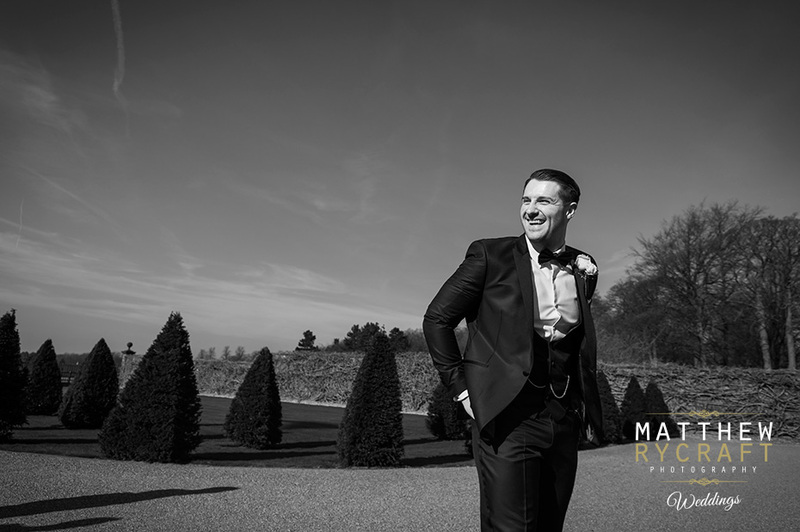 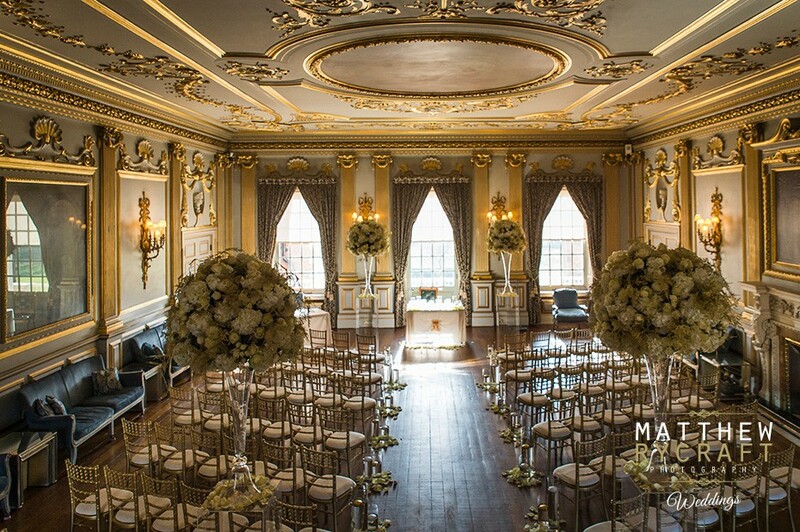 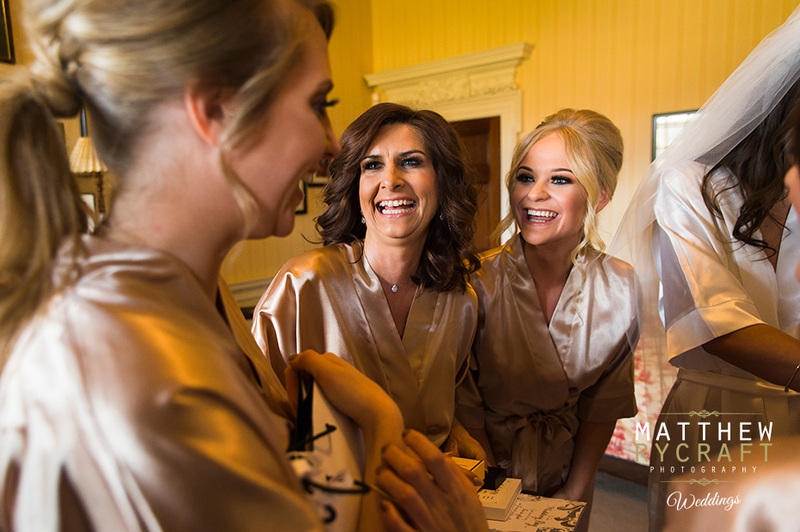 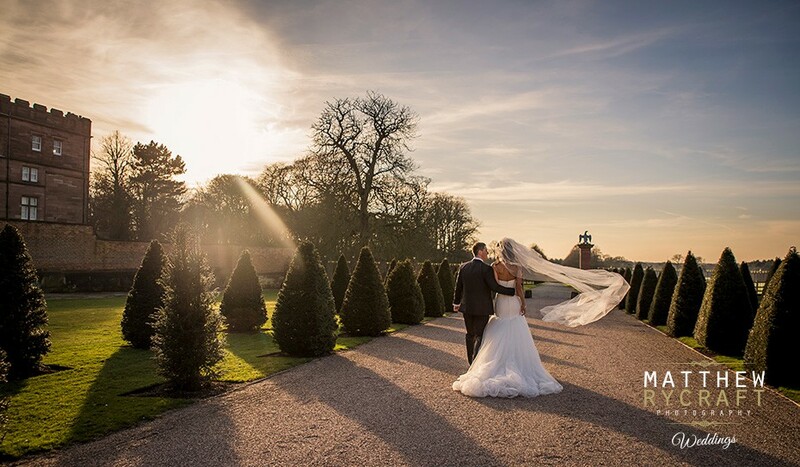 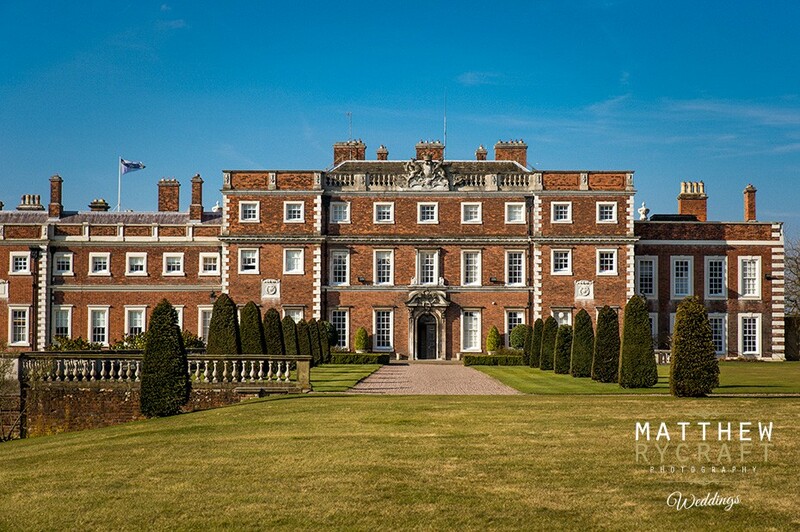 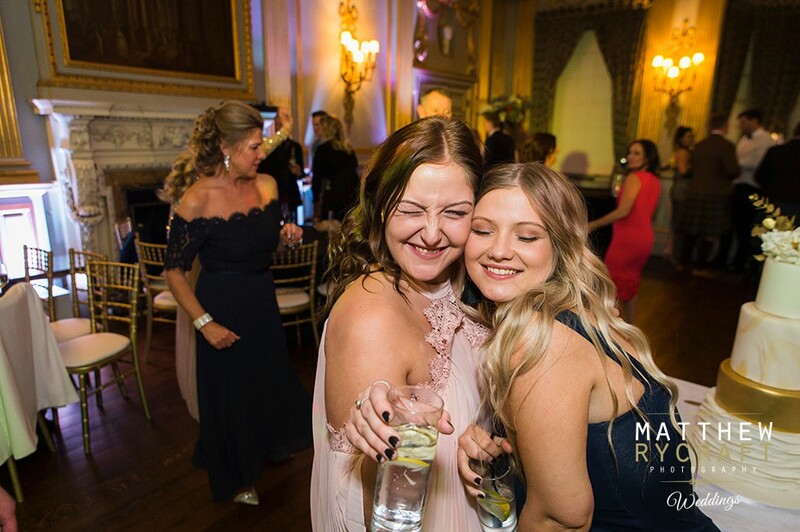 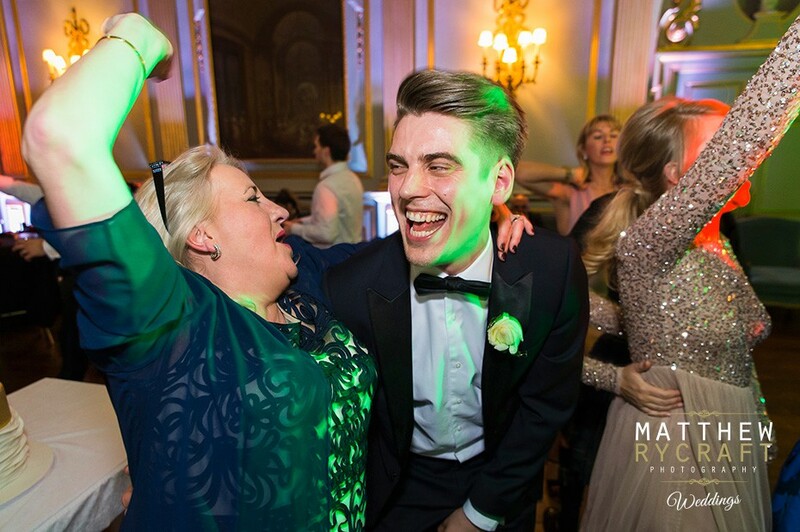 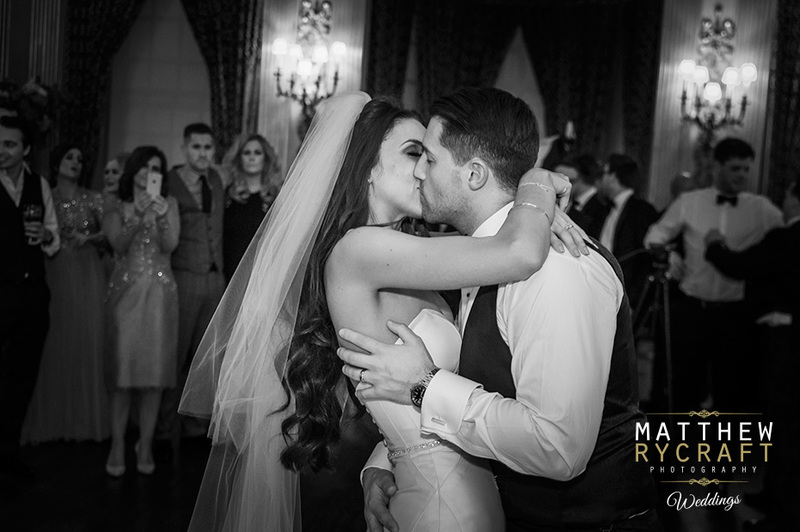 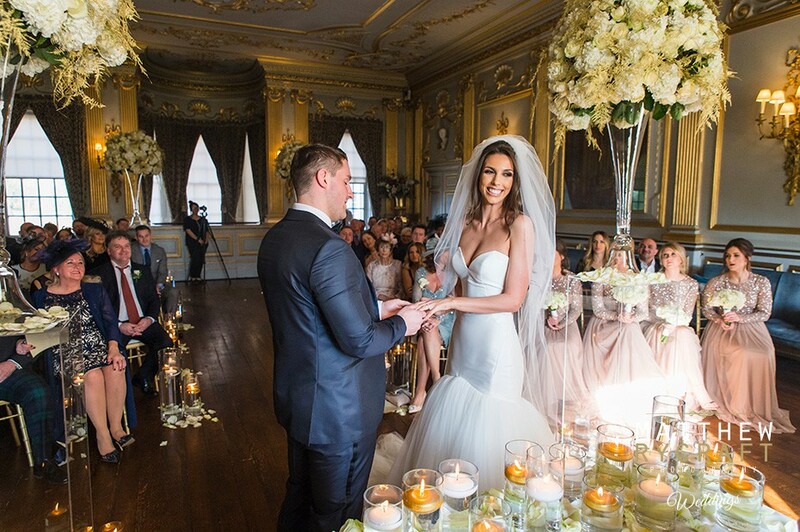 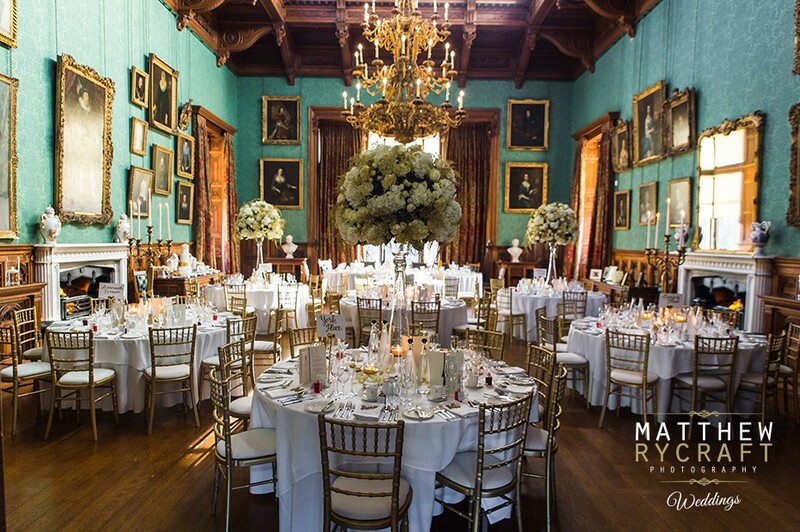 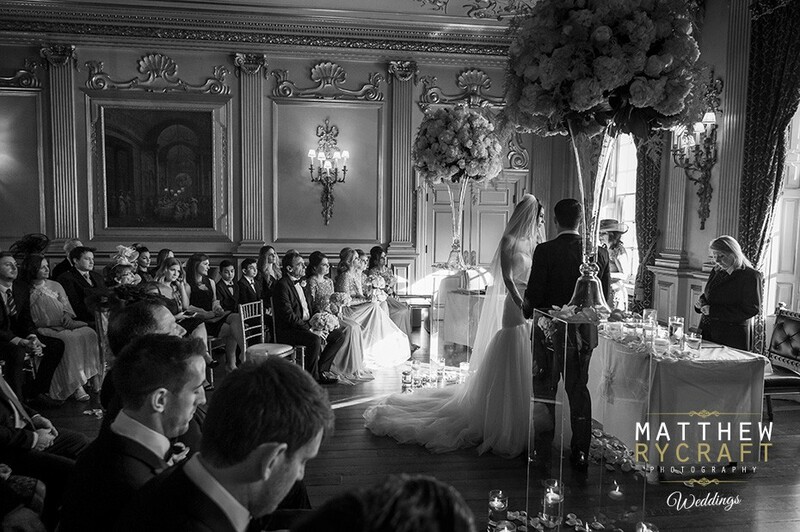 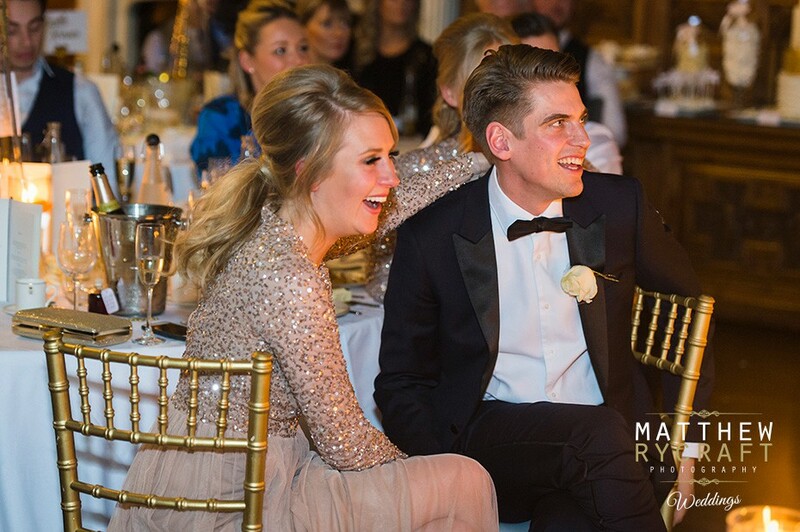 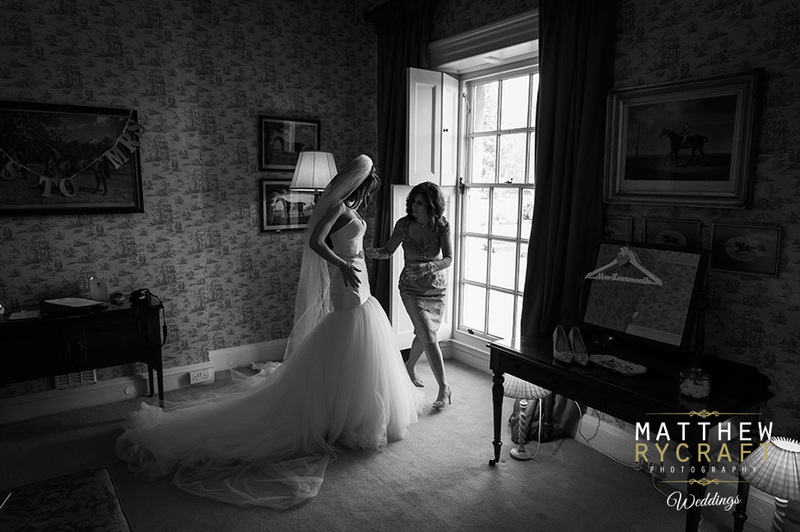 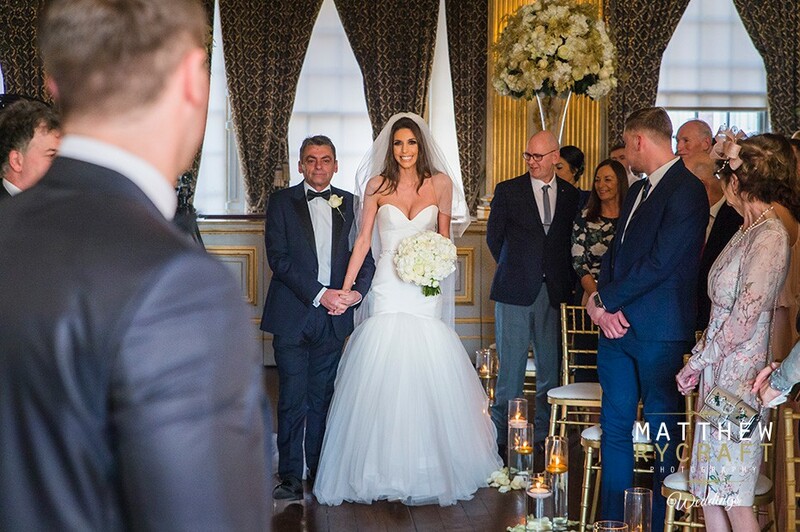 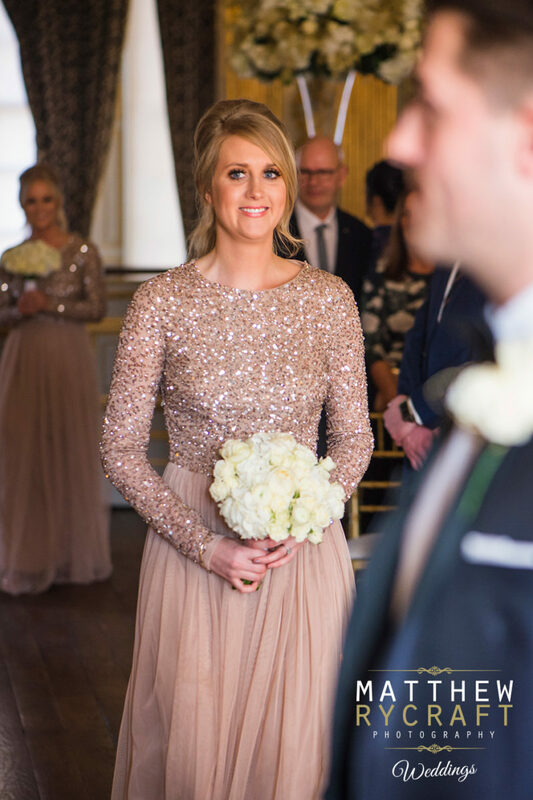 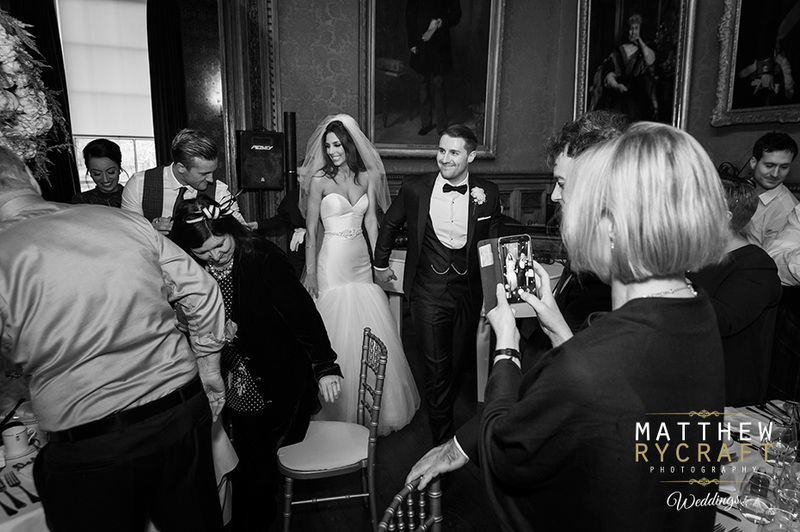 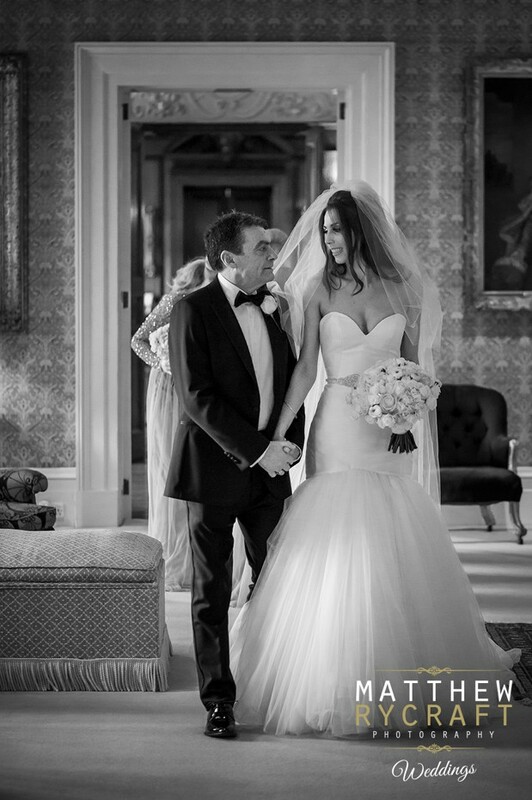 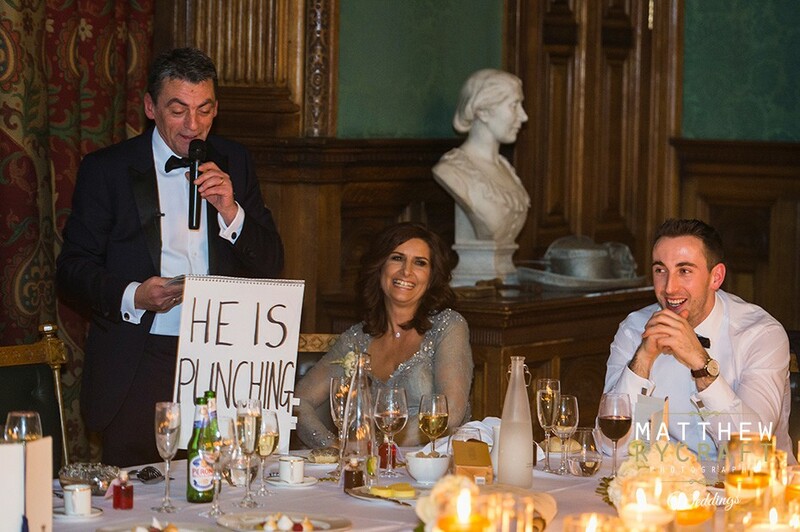 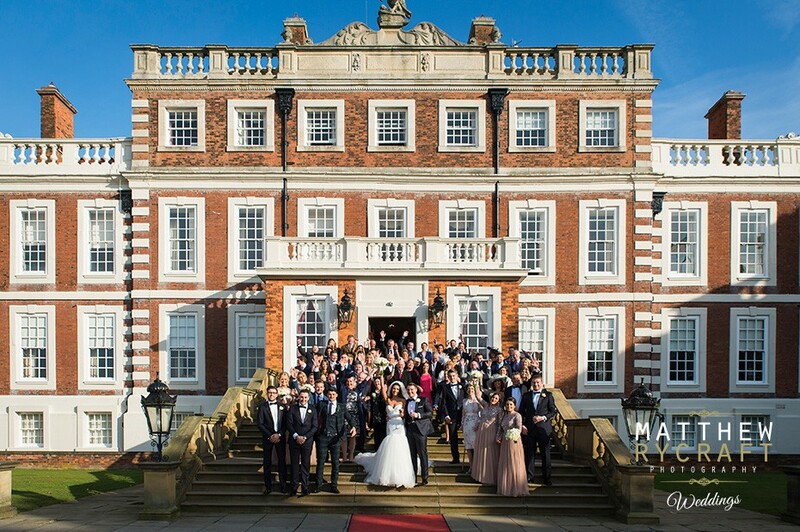 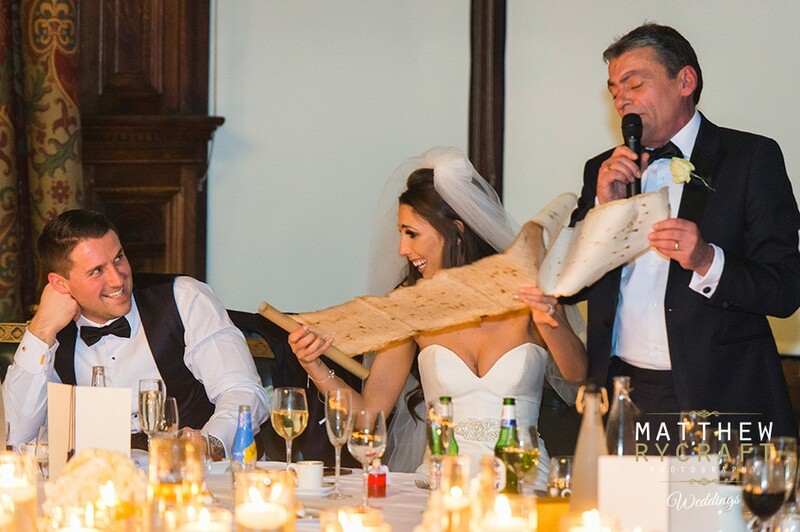 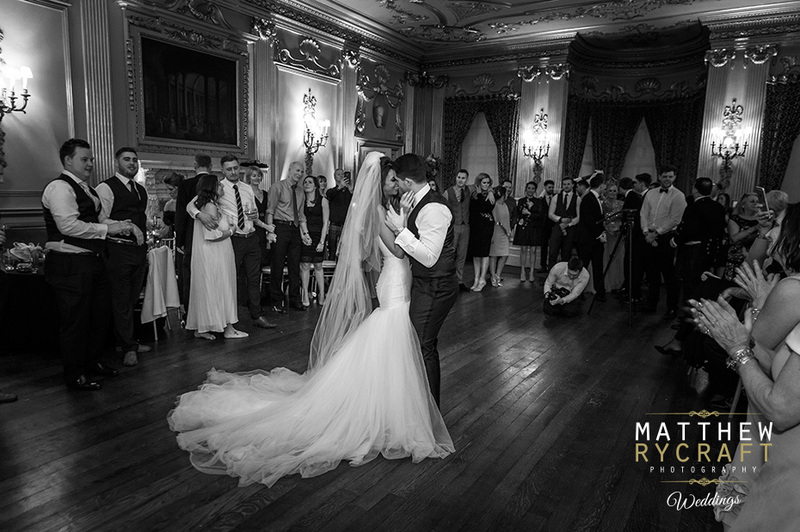 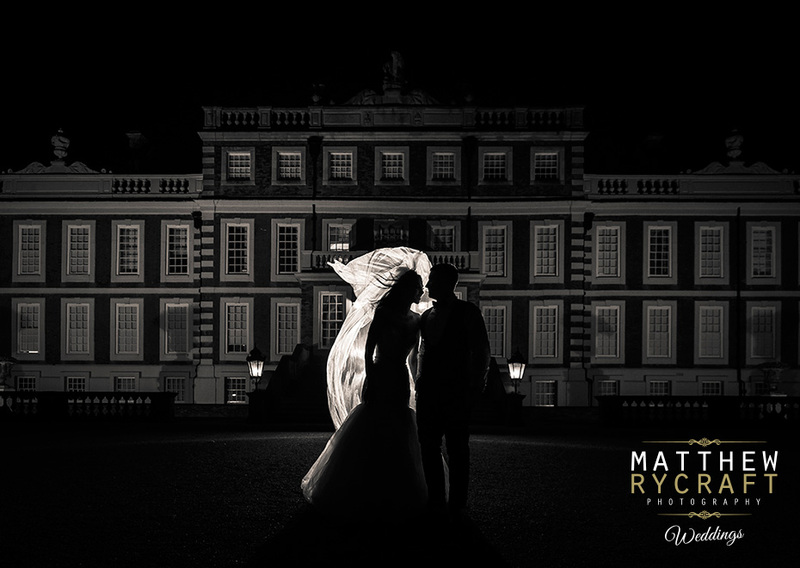 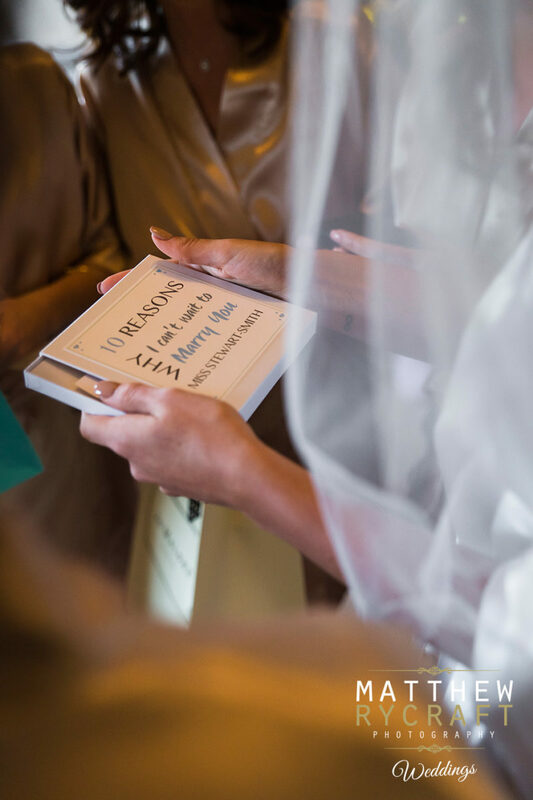 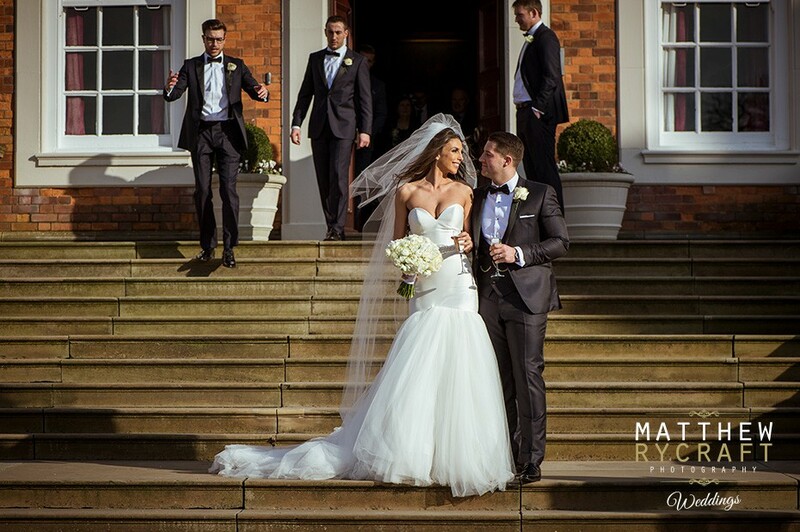 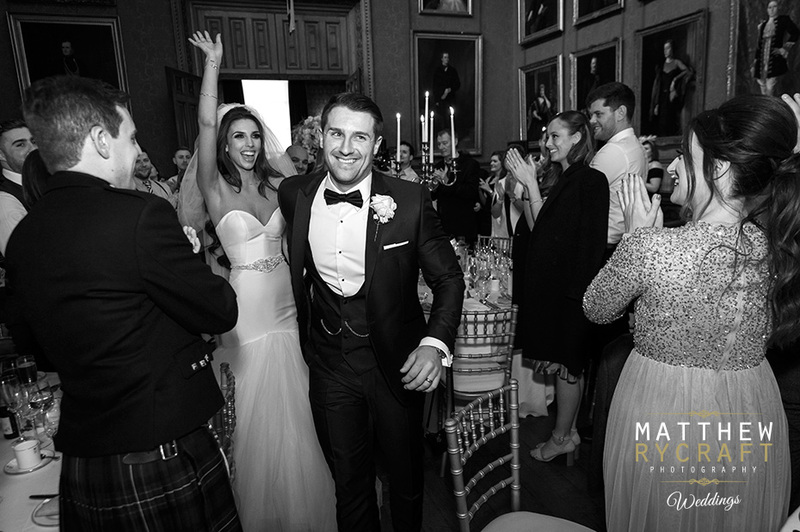 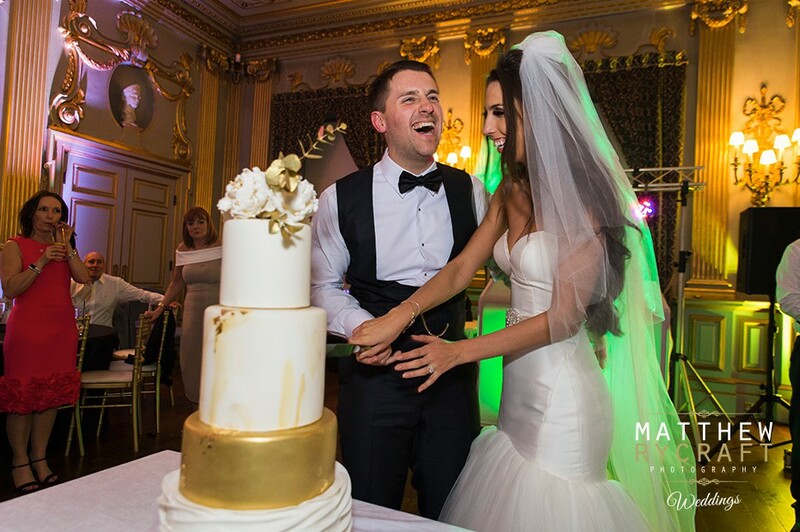 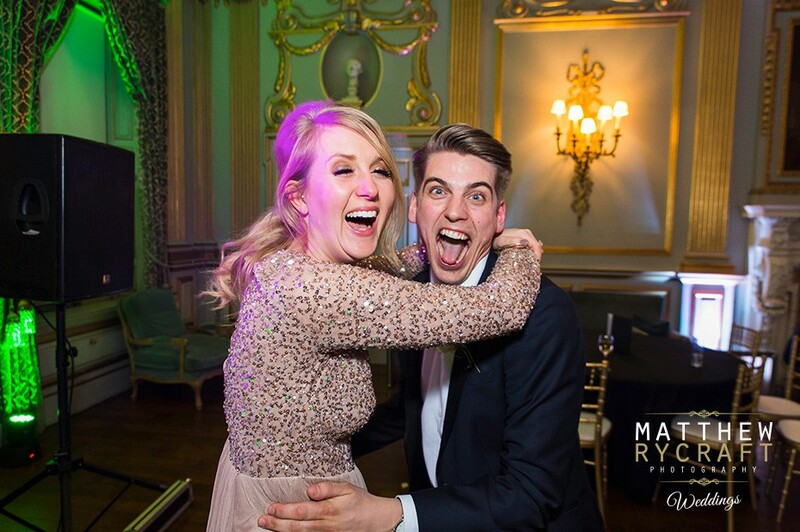 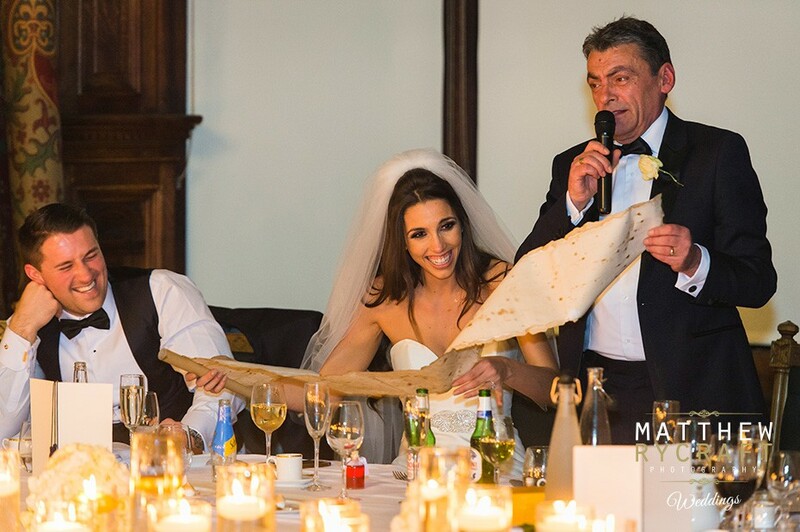 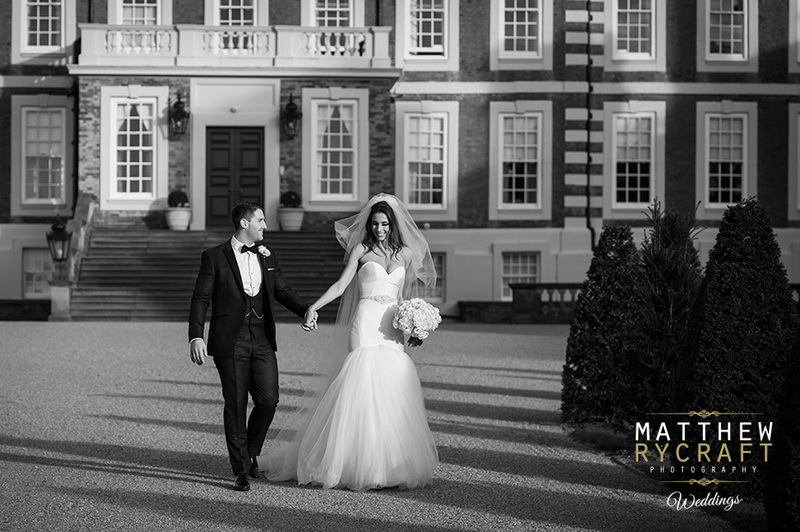 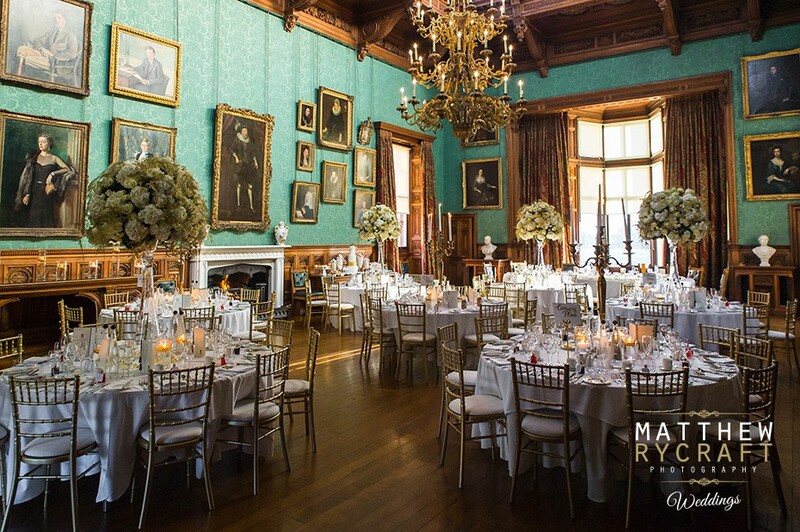 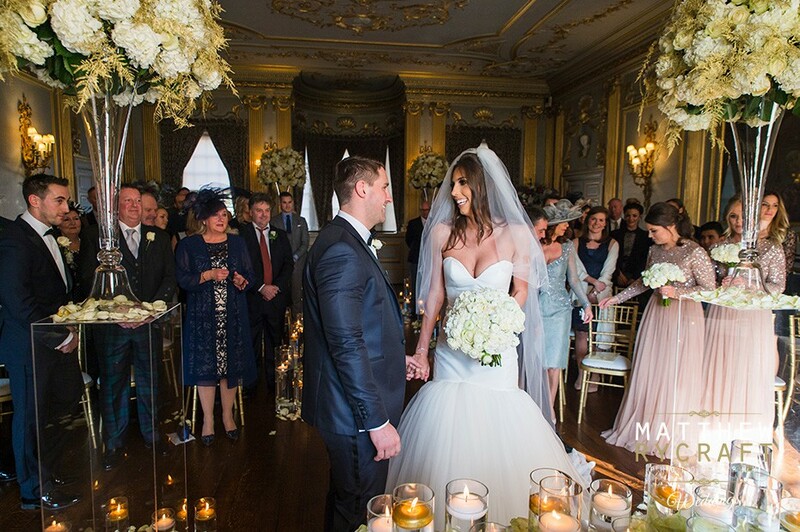 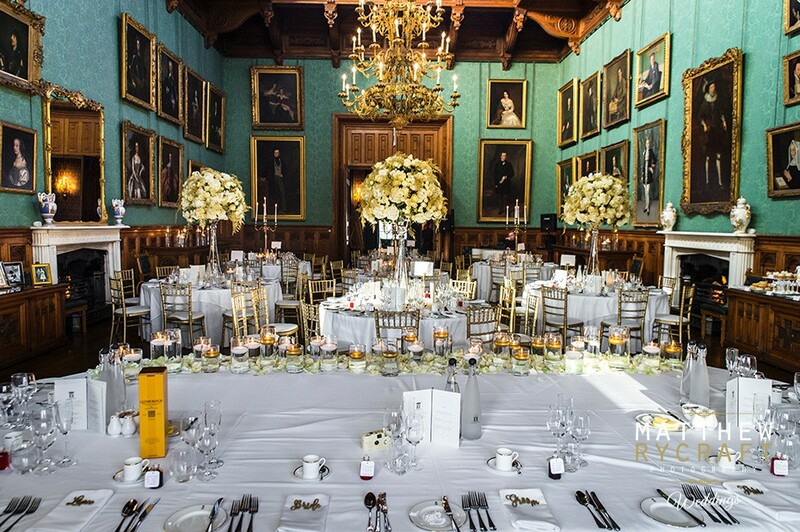 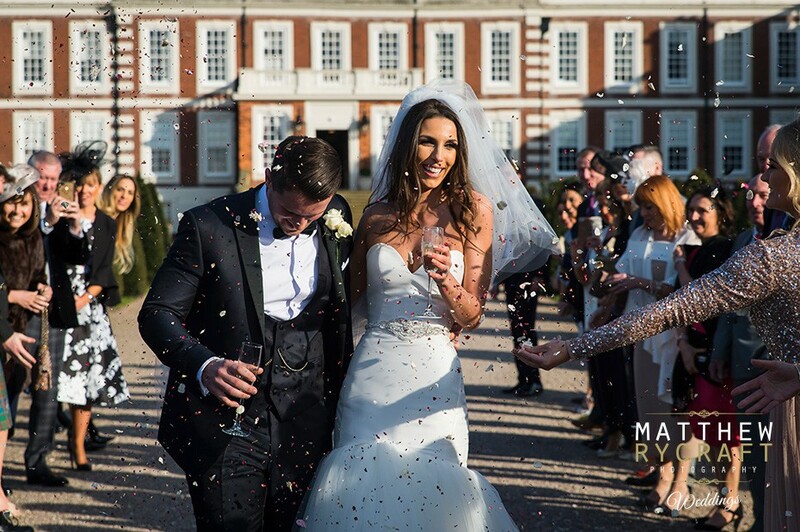 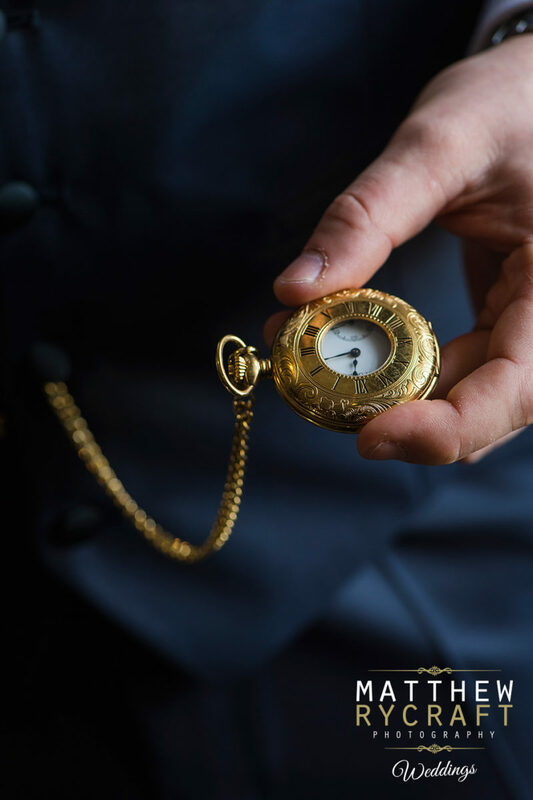 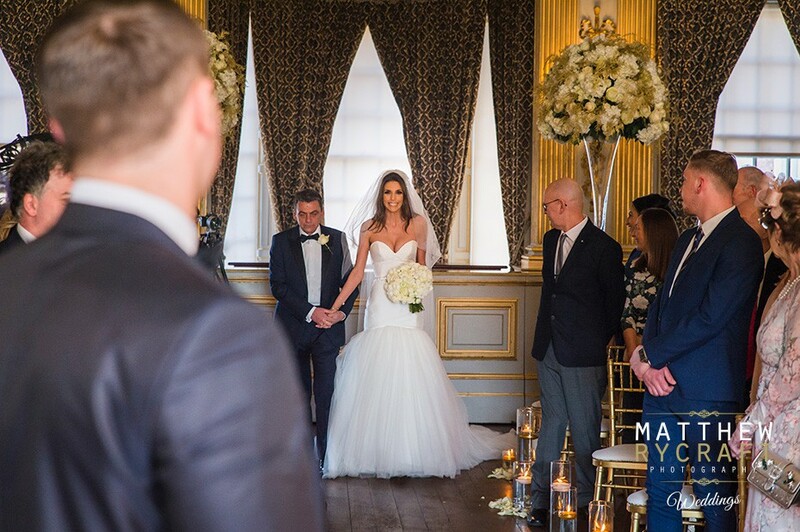 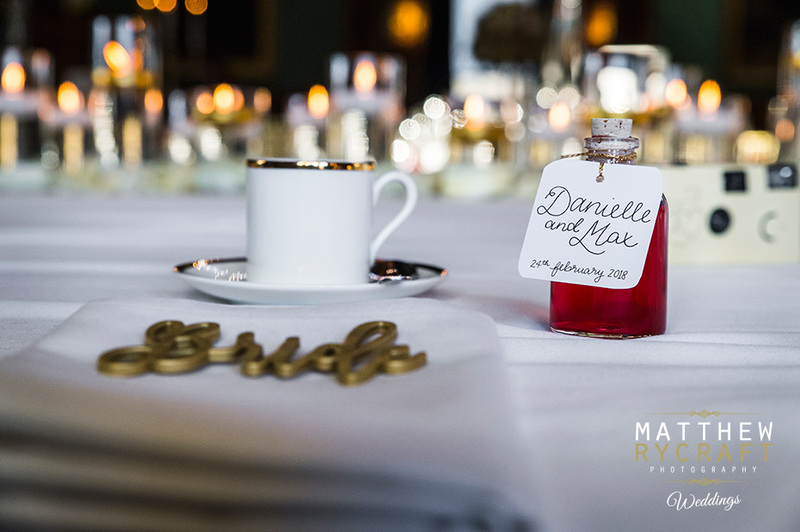 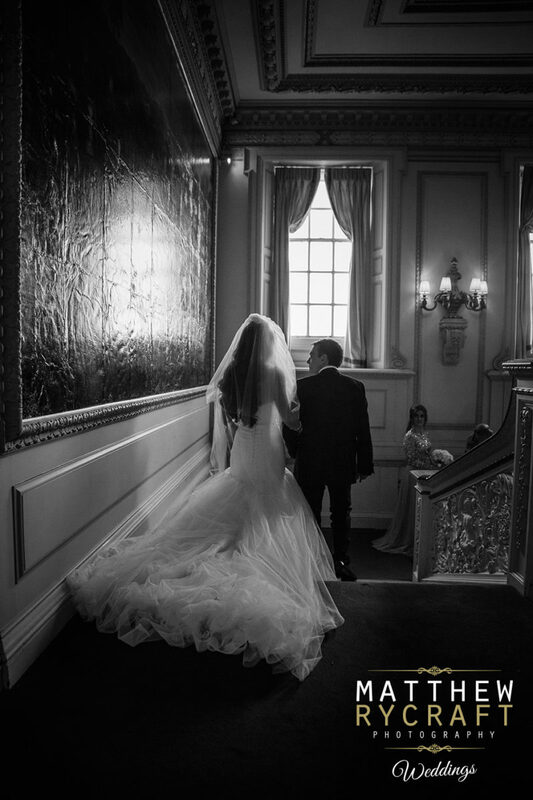 Danielle and Max chose one of Merseyside's hidden treasures, to hold their full day wedding celebrations earlier this year, Knowsley Hall. 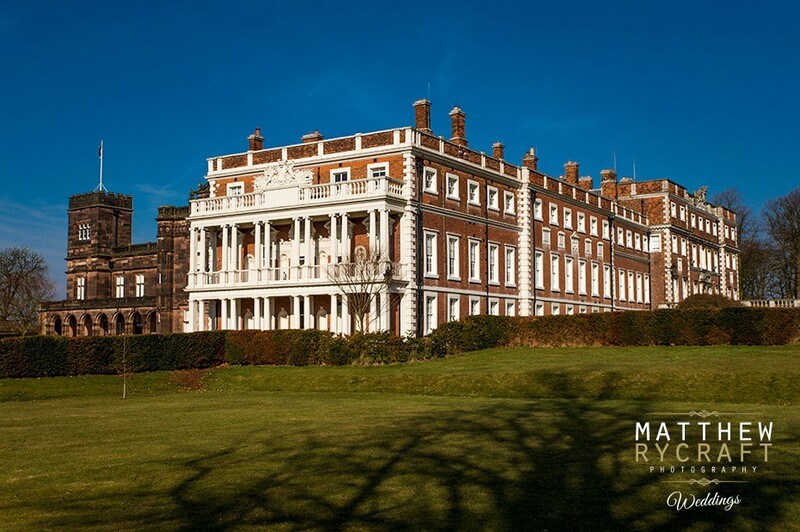 This Grade II listed building, dates back to the 12th century and is Merseyside's only stately home. 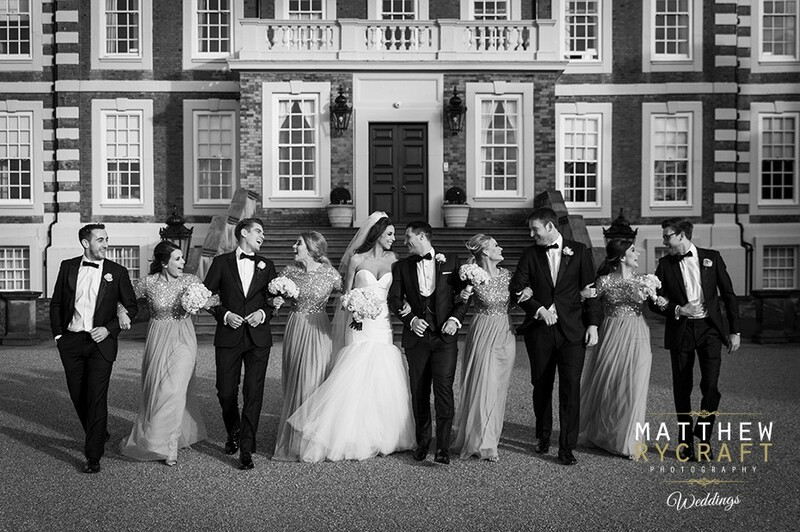 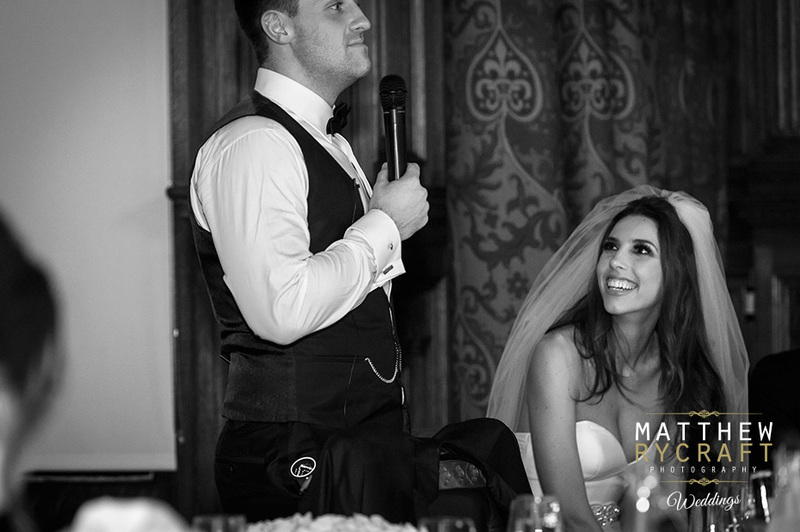 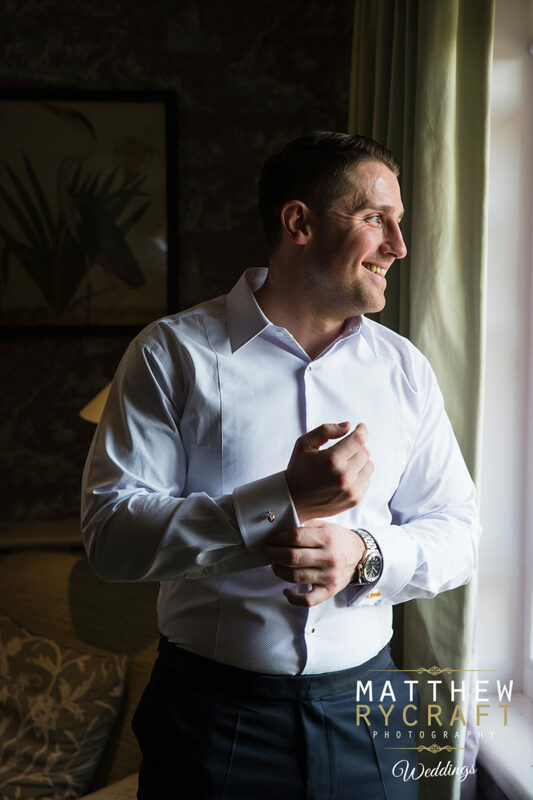 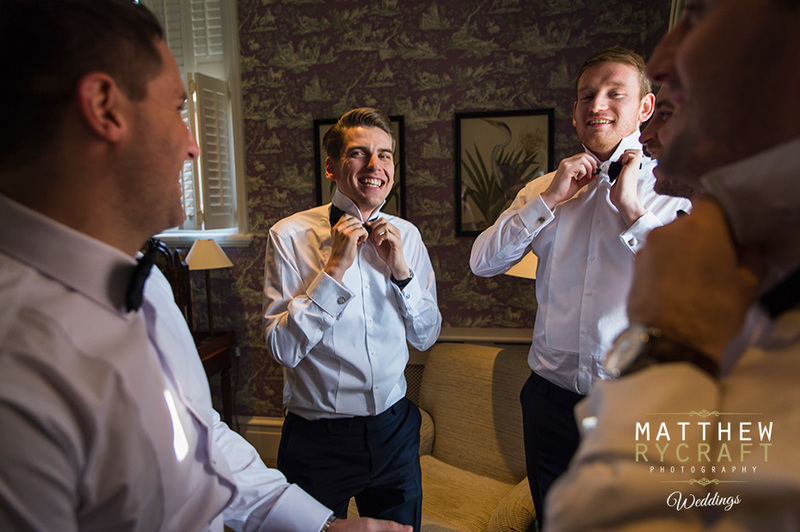 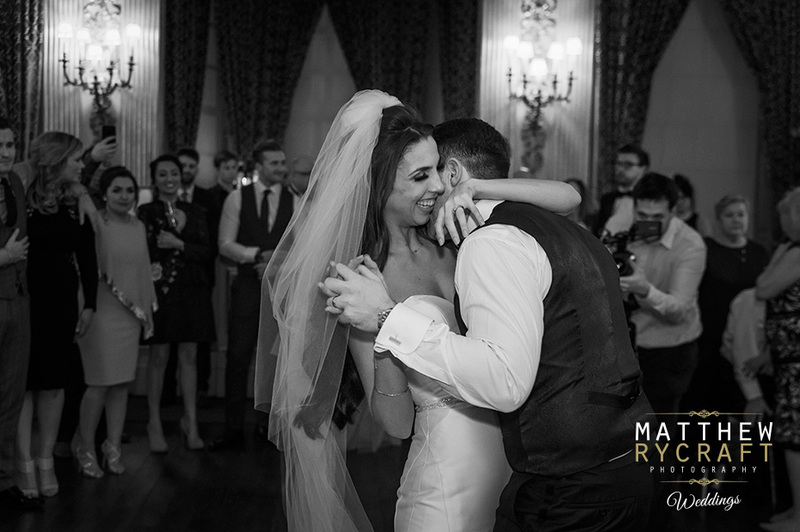 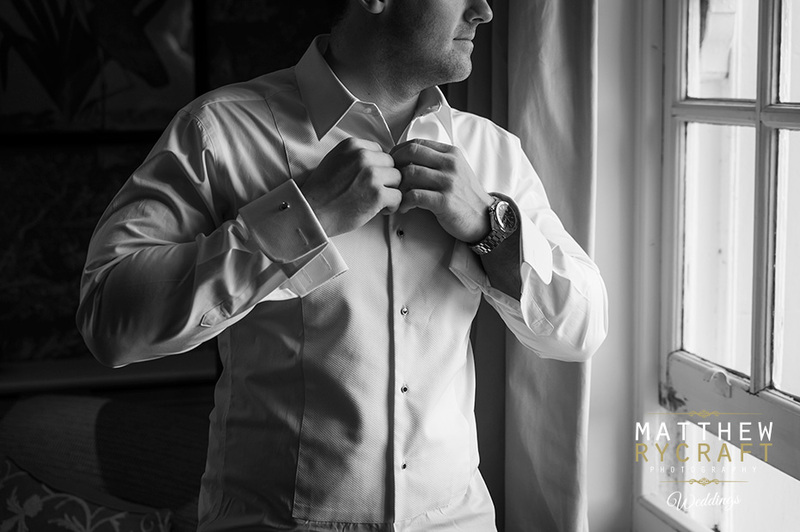 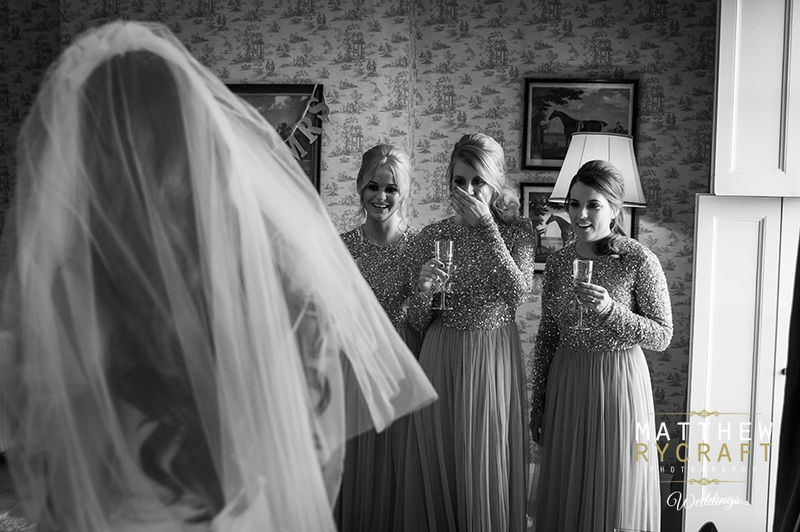 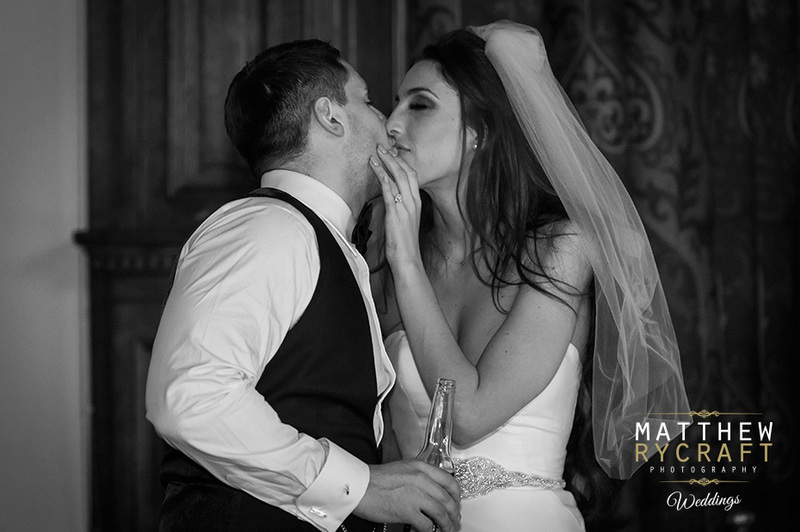 I'm honoured to be one of Knowsley Halls' recommended wedding photographers and thrilled, Danielle and Max chose me as their wedding photographer. 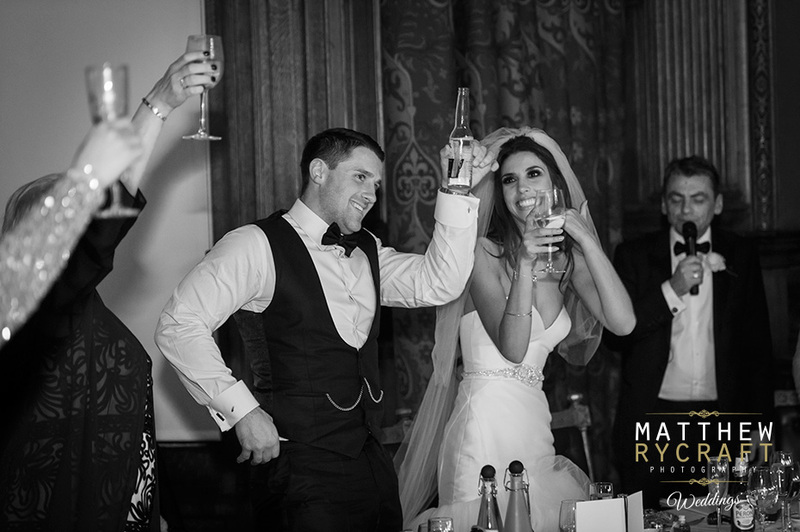 We had great fun on the day and their wedding was amazing. 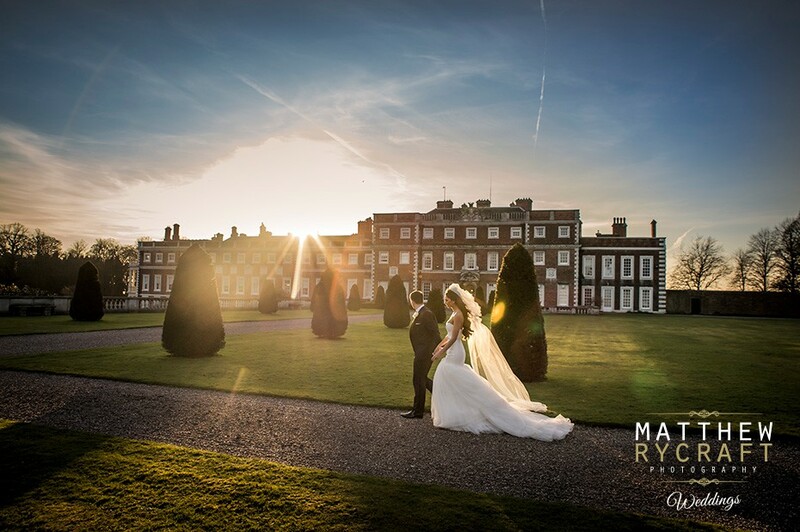 A little chilly in the daytime but the evening didn't let us down with the sun setting just before their wedding breakfast, allowing us to get some beautiful shots to end their wedding album with. 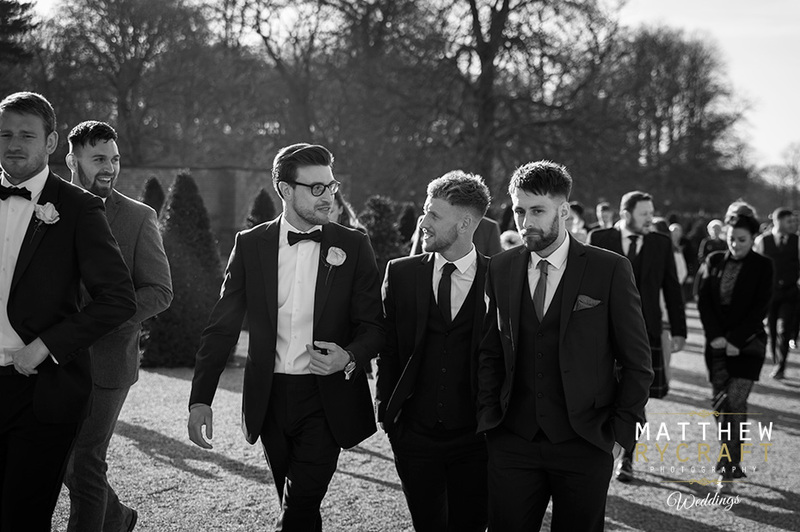 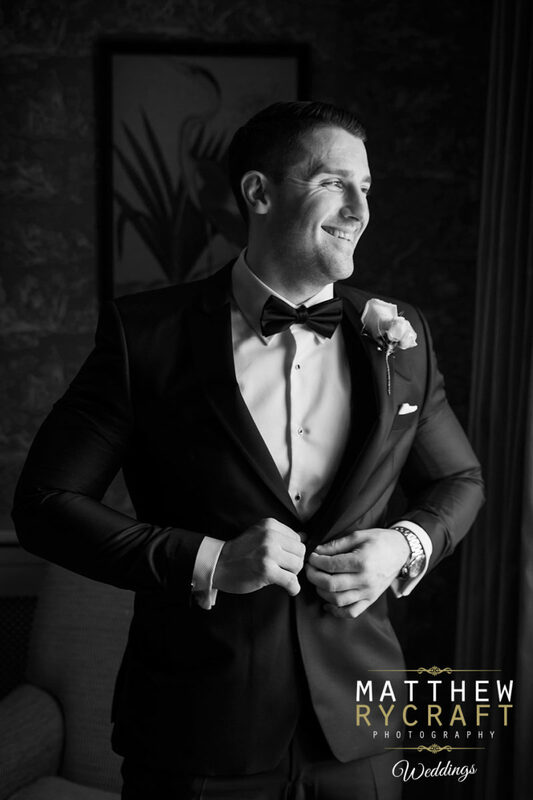 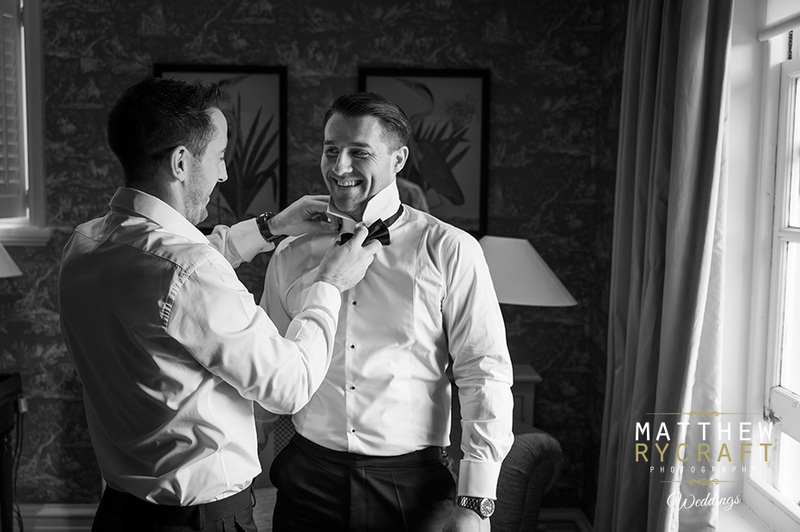 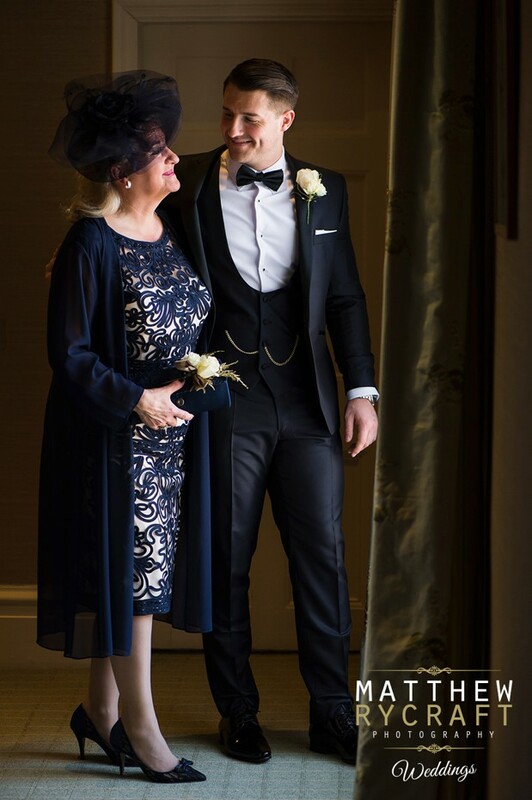 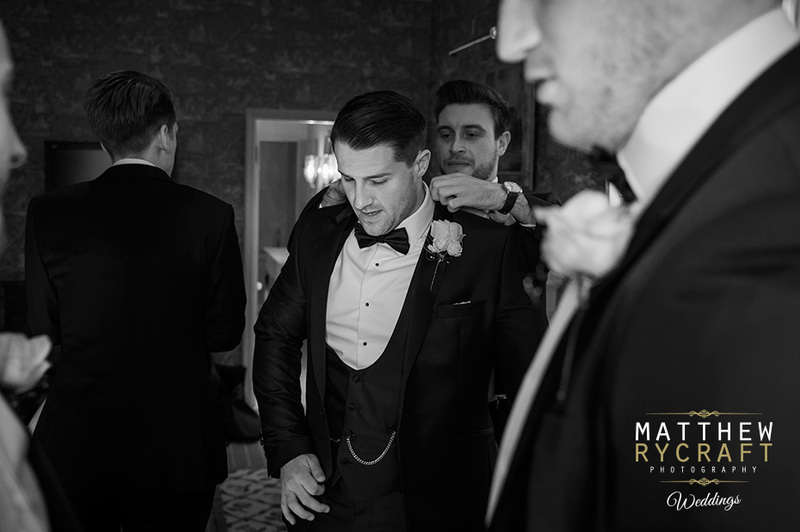 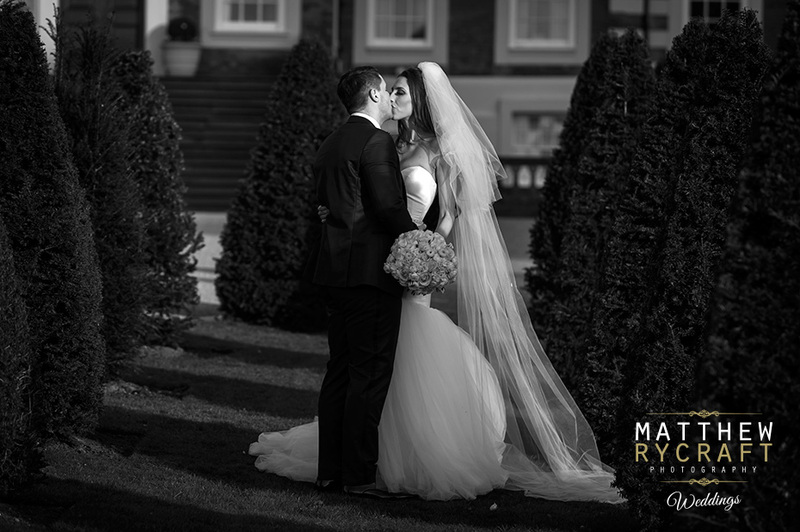 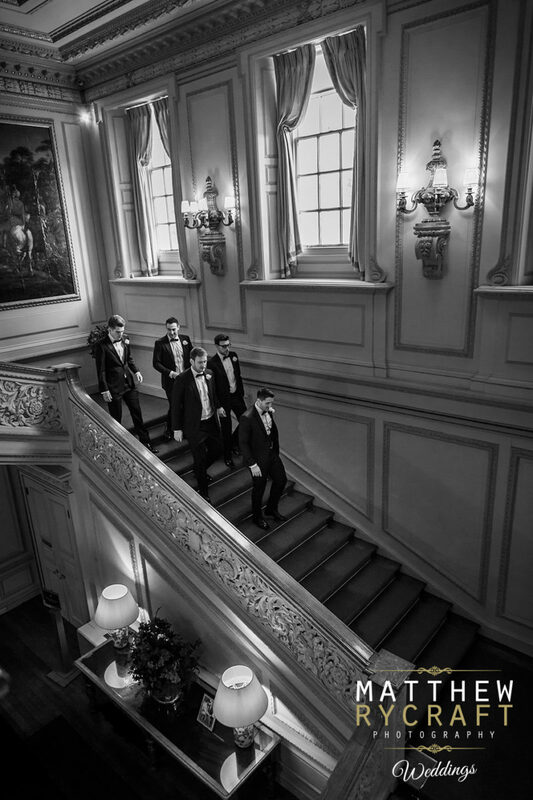 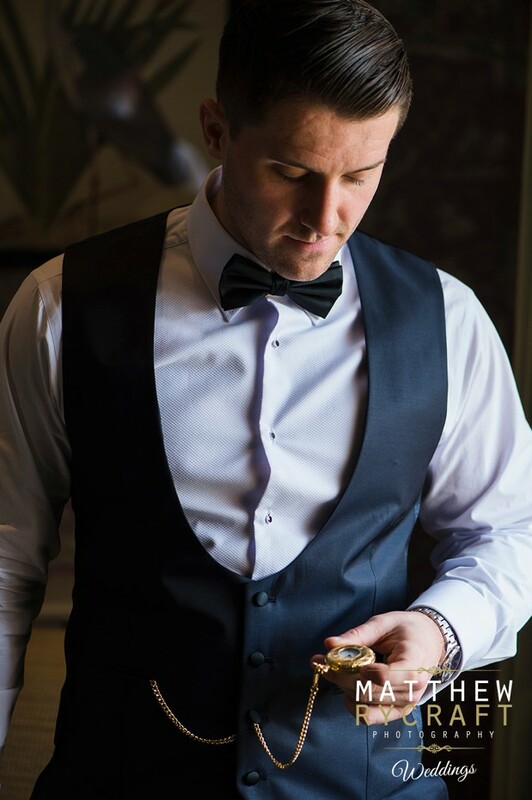 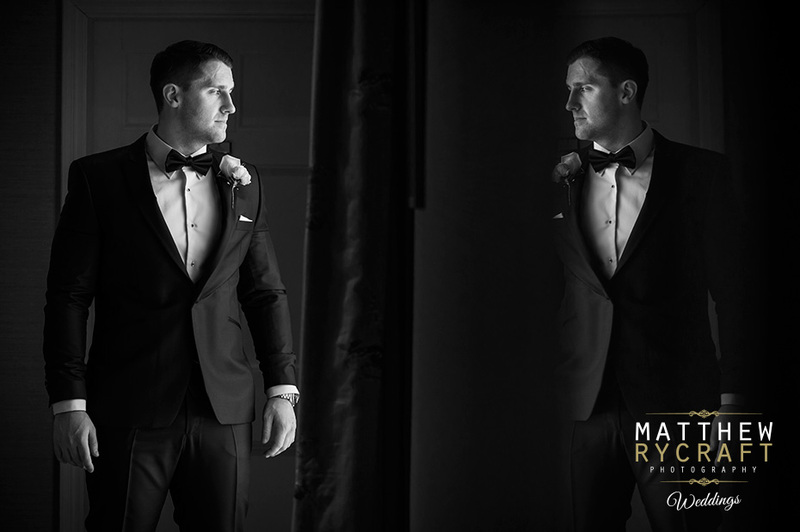 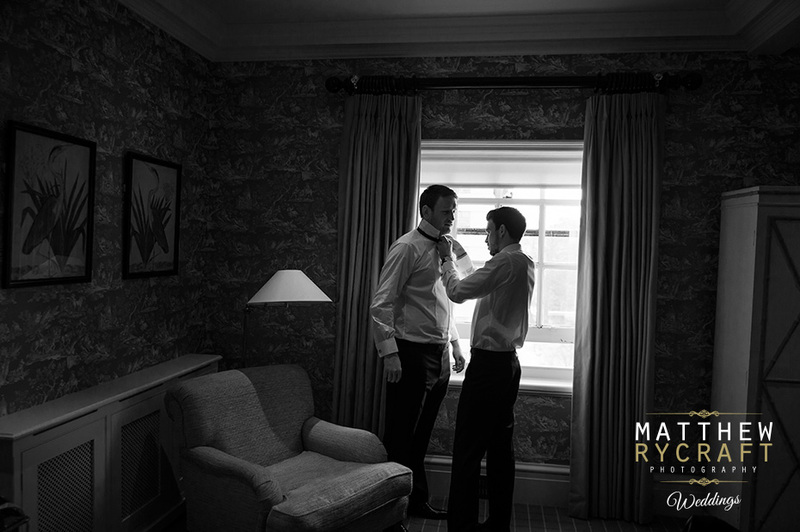 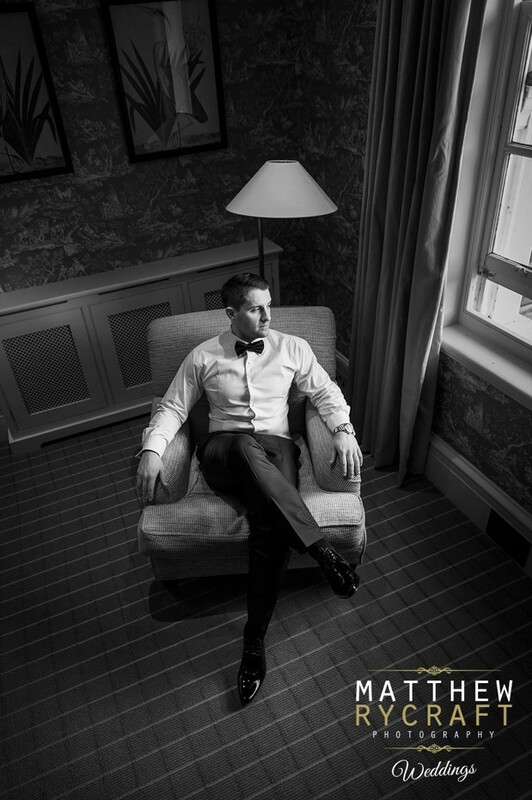 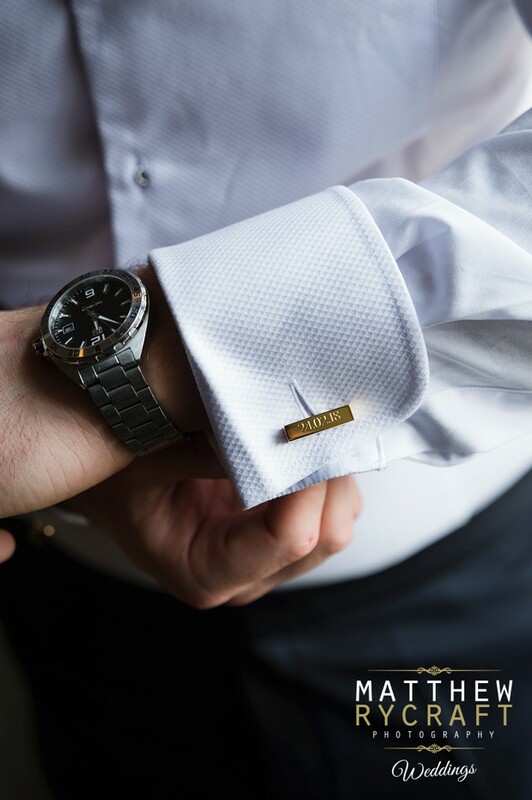 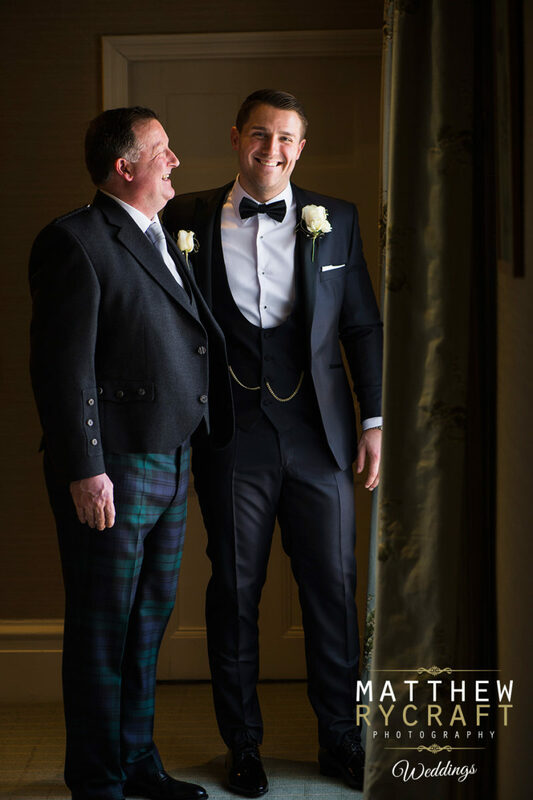 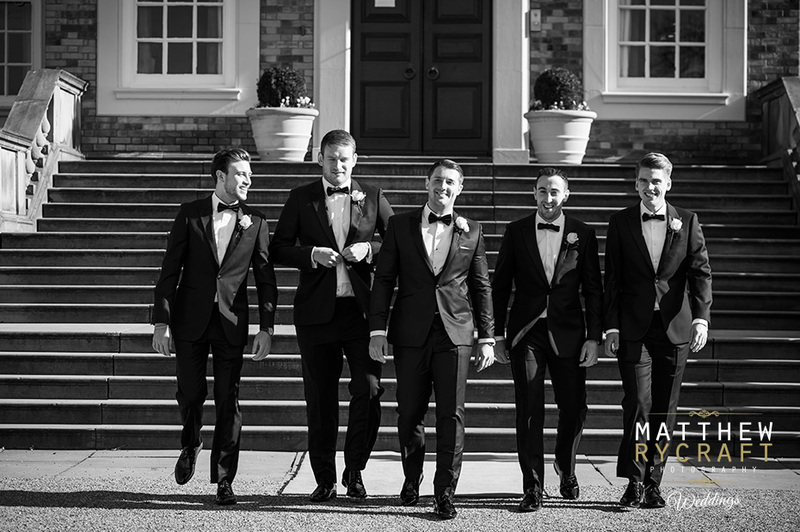 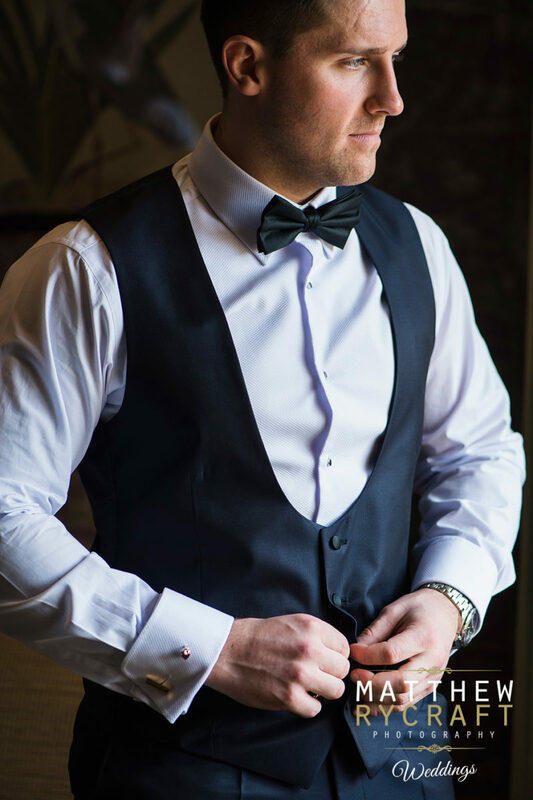 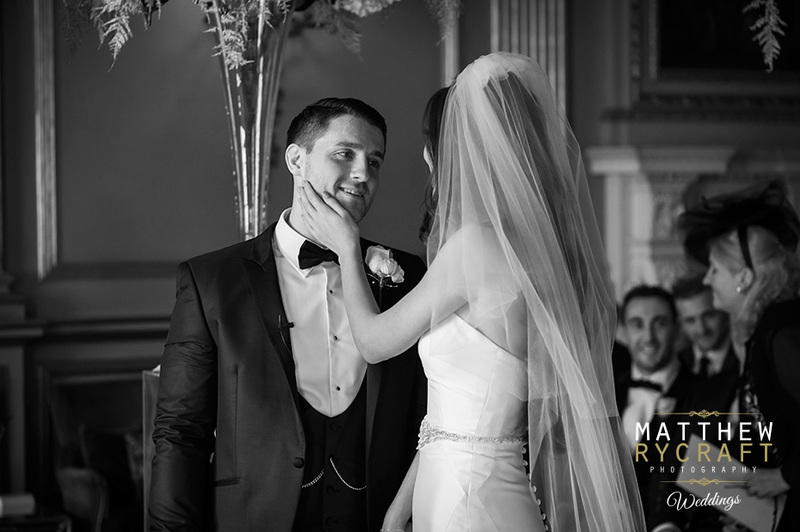 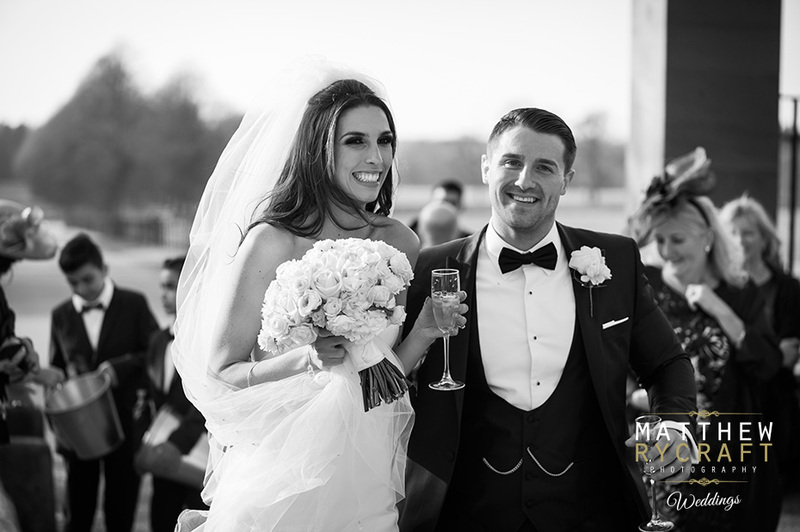 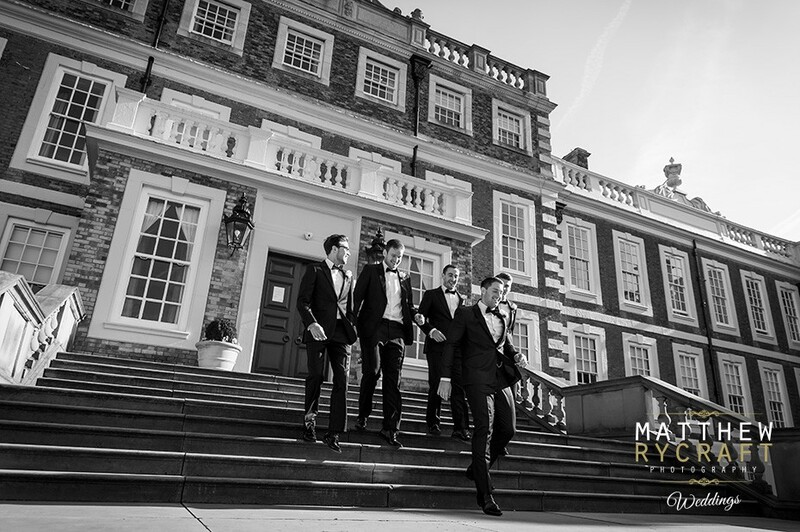 A tuxedo themed wedding, which I always think looks great in black and white wedding photographs. 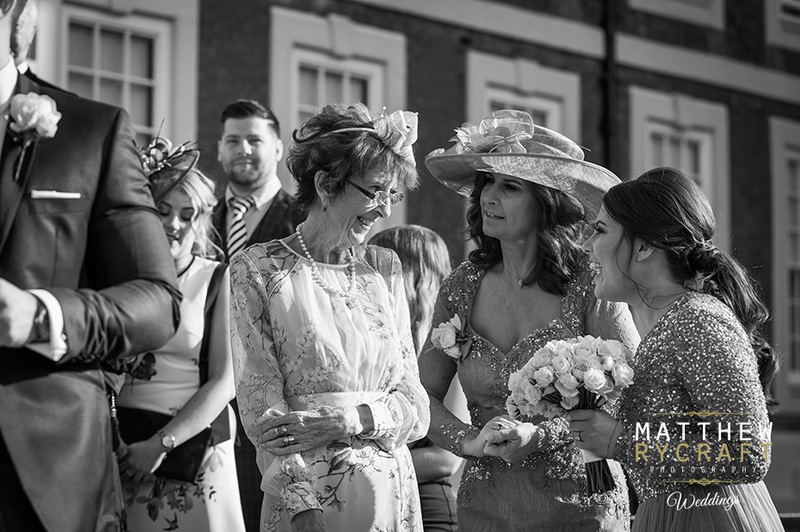 Everyone was in great spirits and relaxed, just enjoying the day as it unravelled. 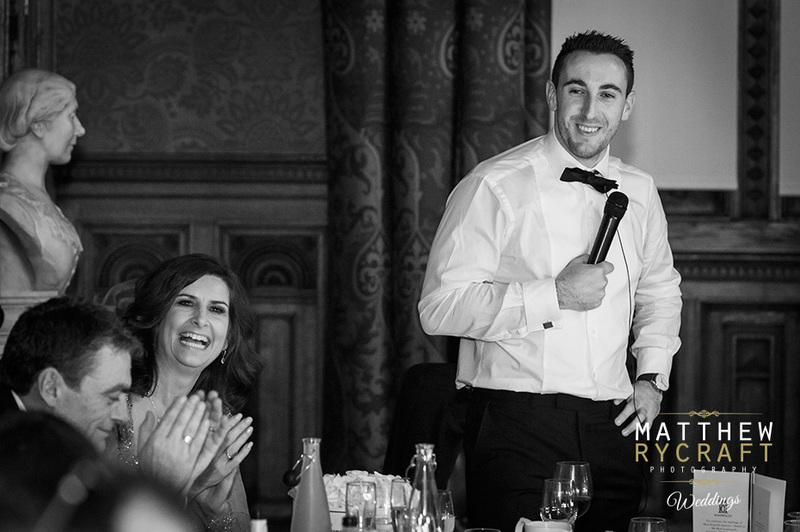 With great speeches, hilarious dancing at the end of the night and some of my signature flash shots just before leaving, it was great start to the year ahead.